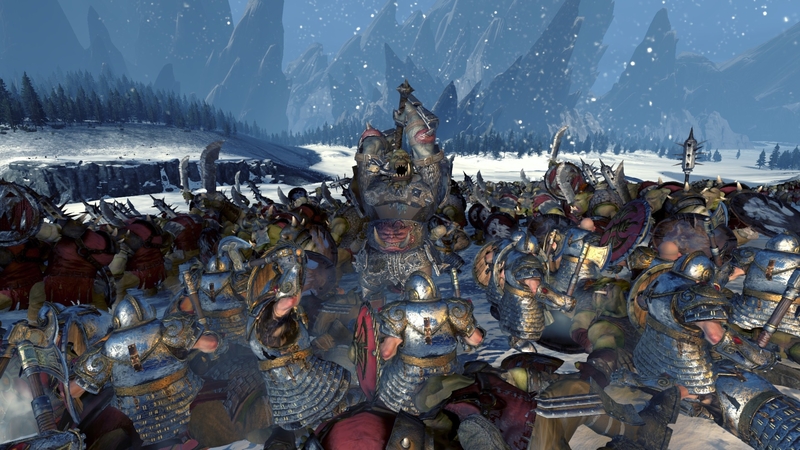 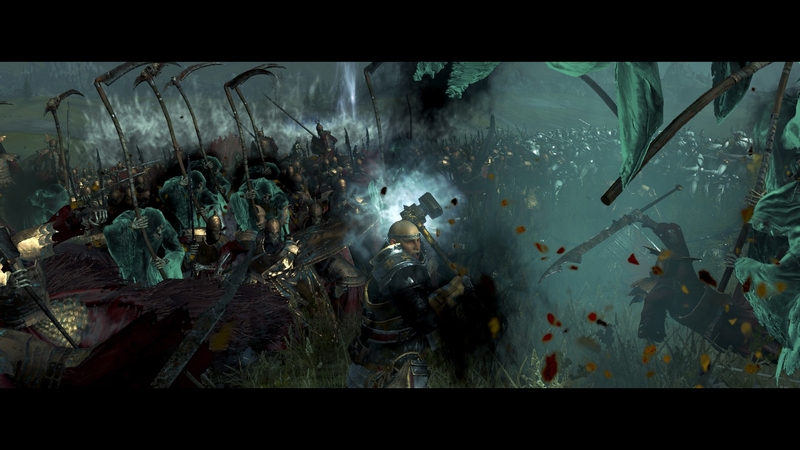 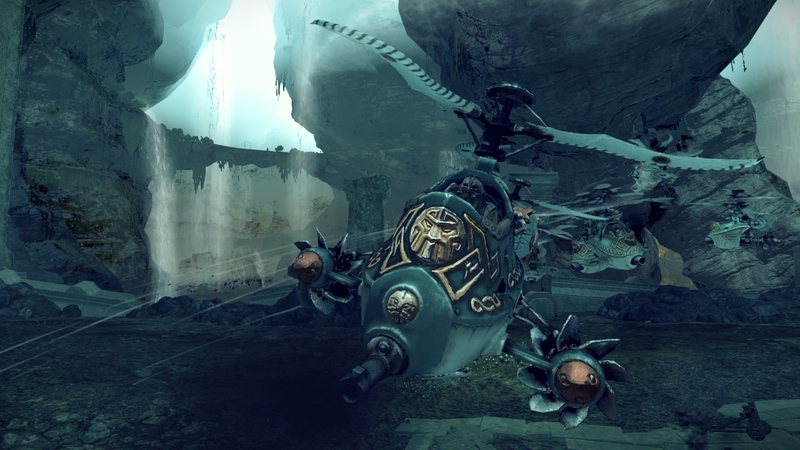 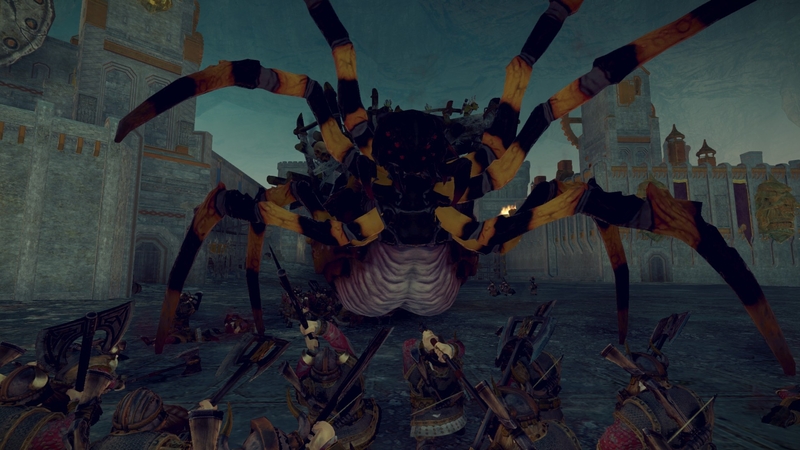 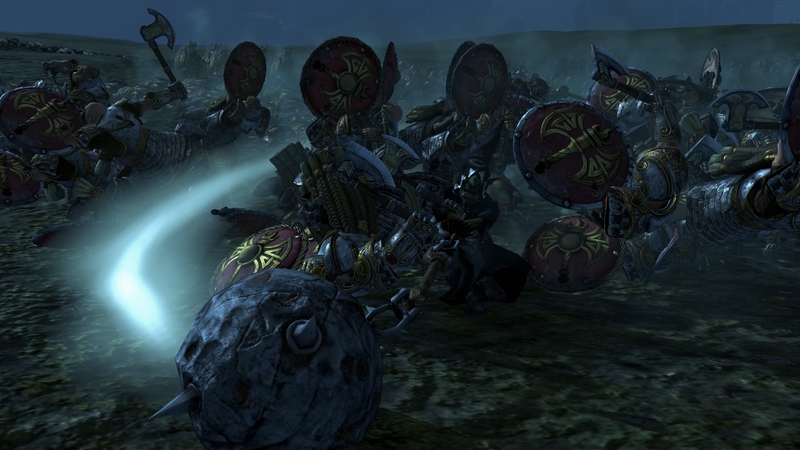 Epic Warhammer screenshot thread time! 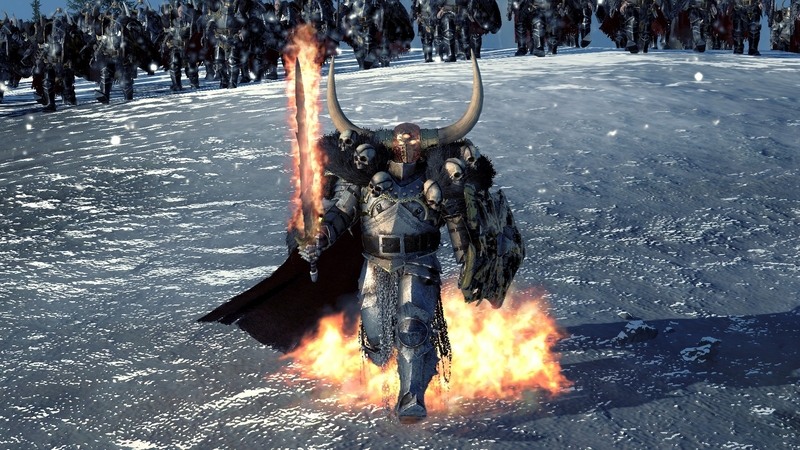 WAAAAAGHHHH!!!!!!!! 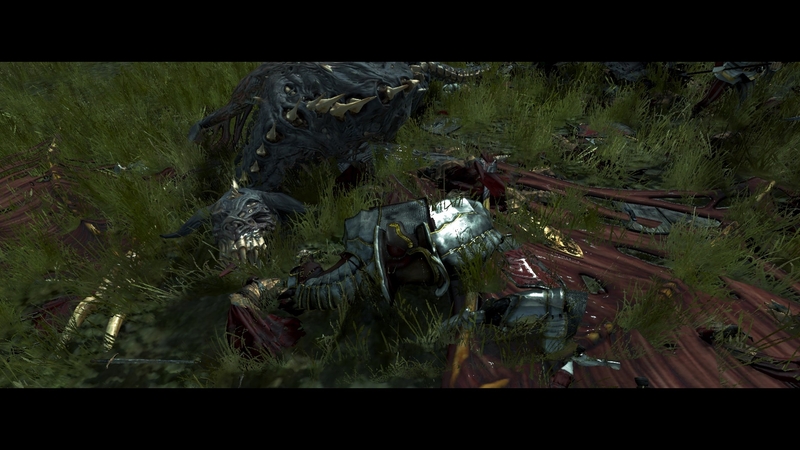 apologies for the level of graphics. 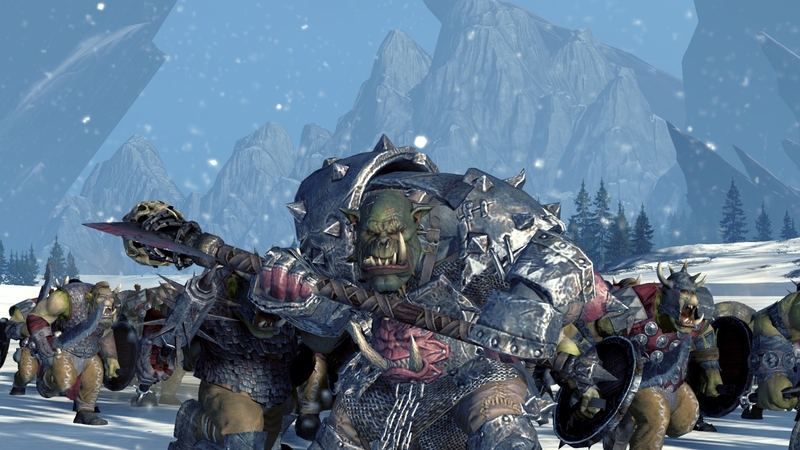 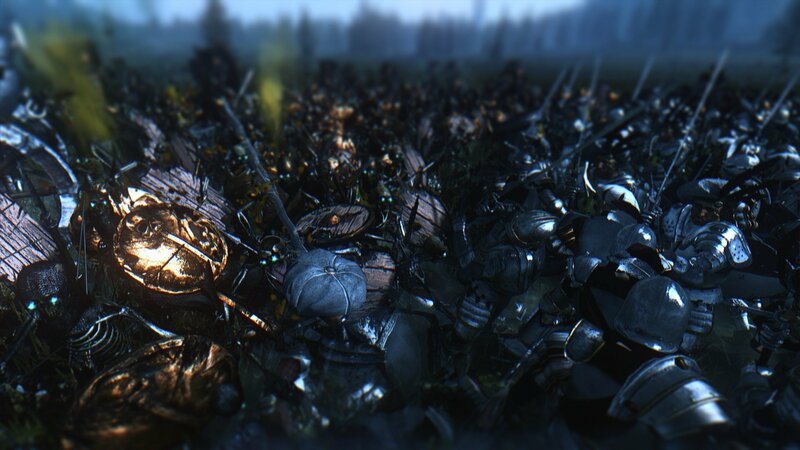 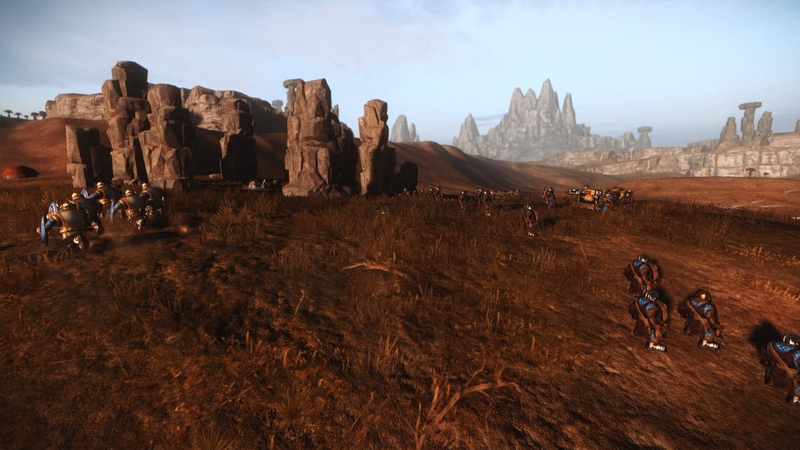 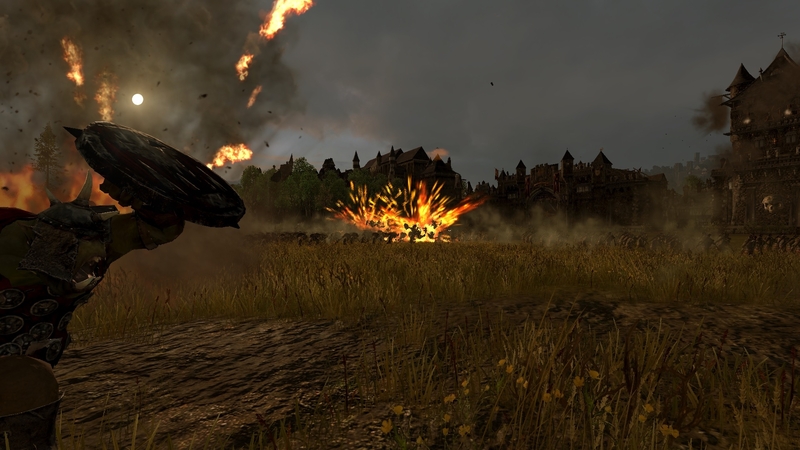 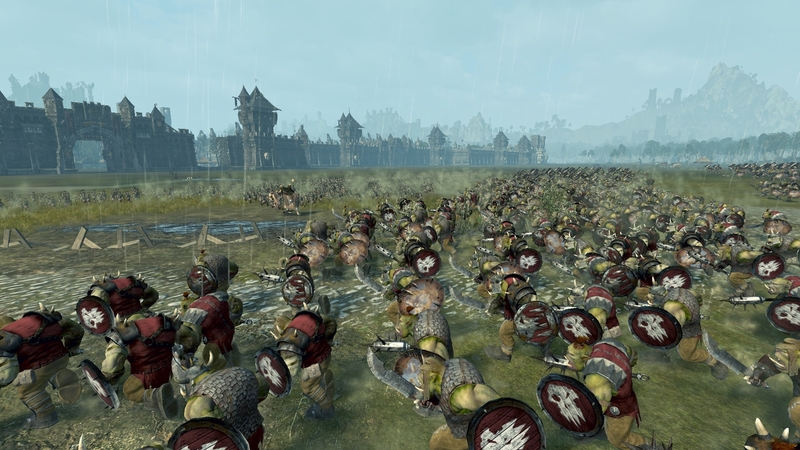 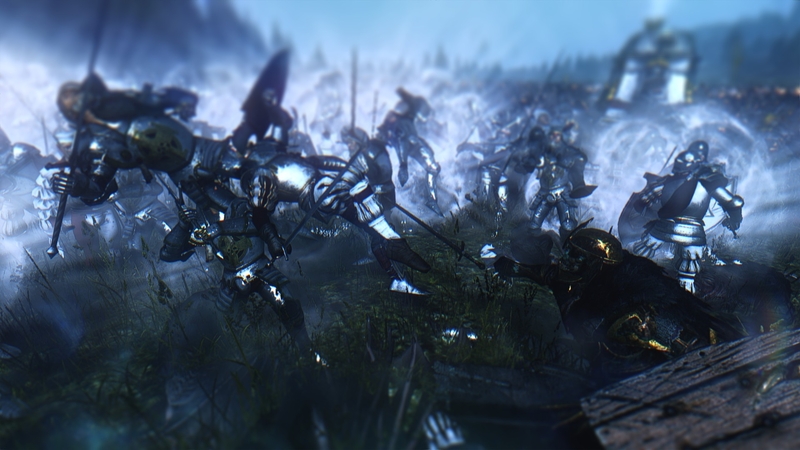 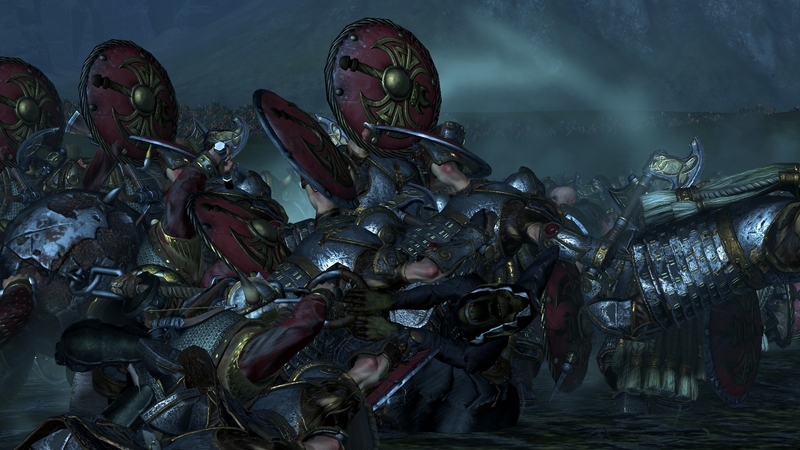 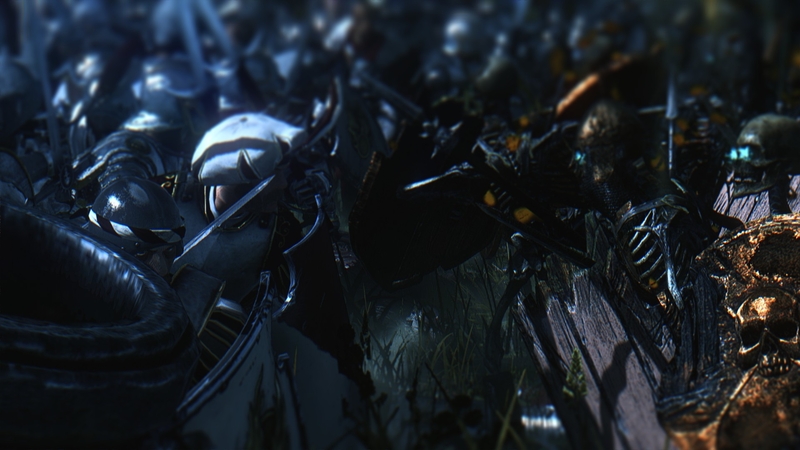 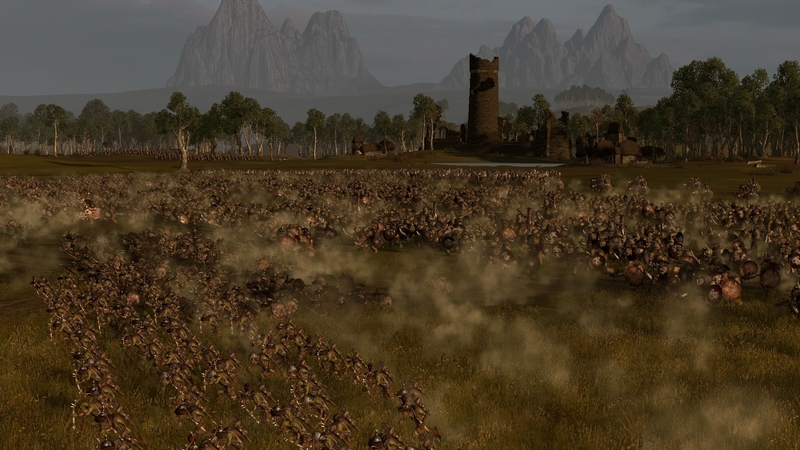 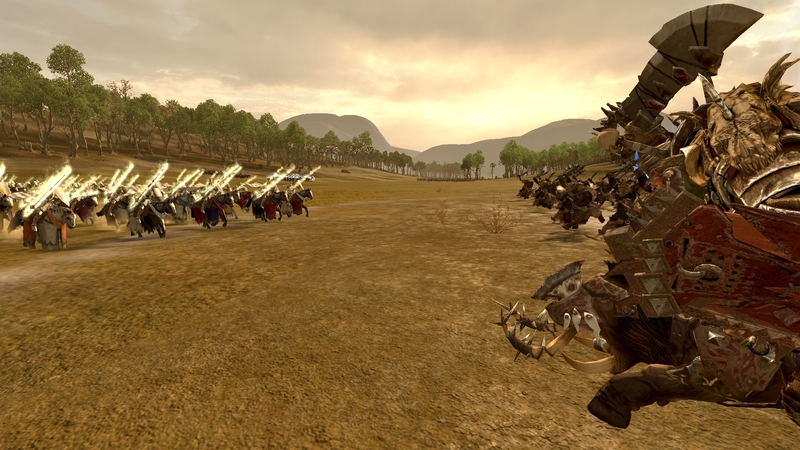 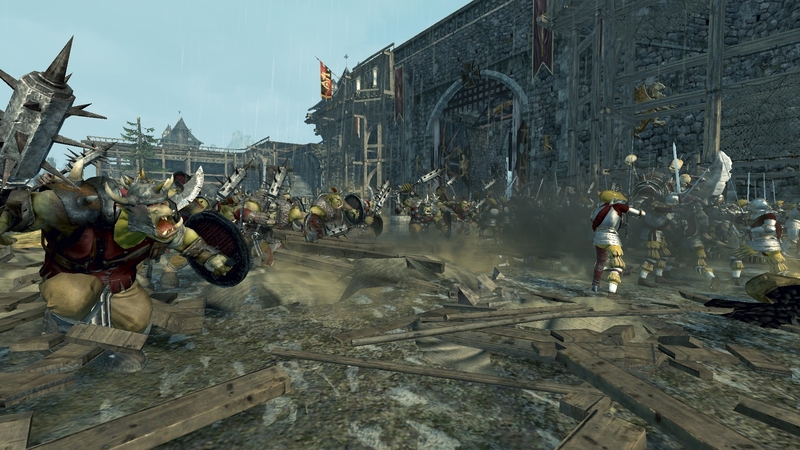 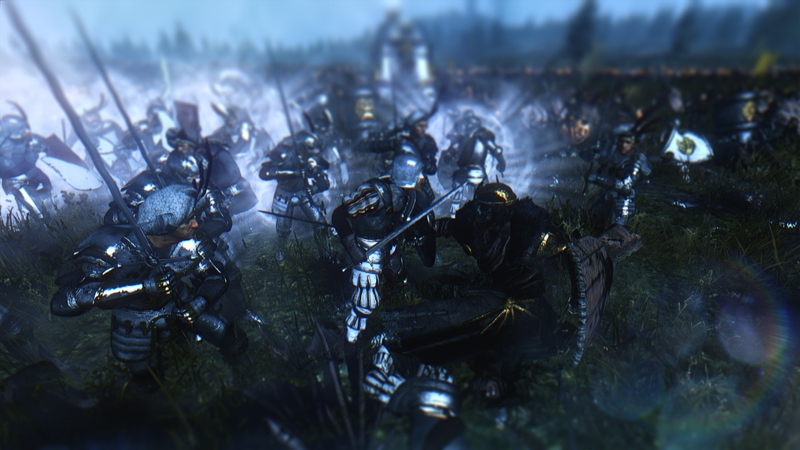 Total War Warhammer with GemFX looks absolutely incredible after a little bit of tweaking. 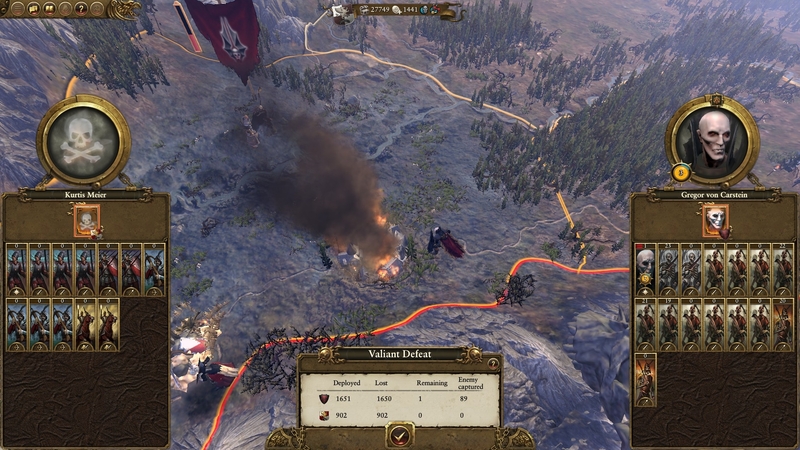 No matter, I just started a new empire campaign and now everything went a lot better. 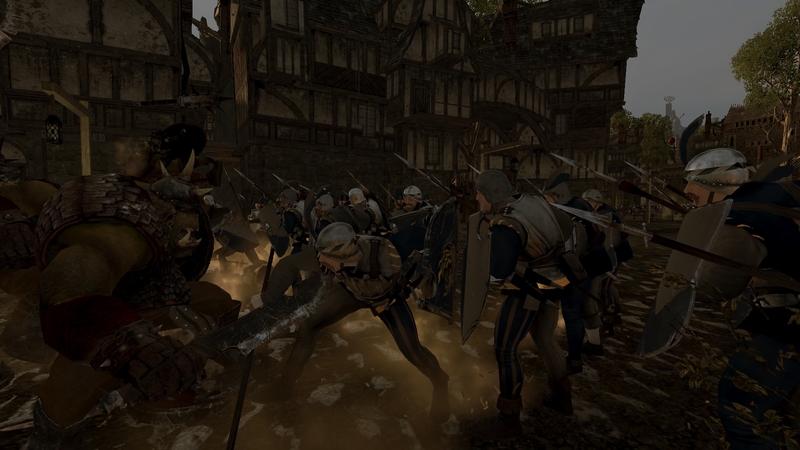 I also had a massive battle moments ago, but I couldn't take any actual screenshots of the battle because I was so stressed out due to the fact that I was heavily outnumbered. 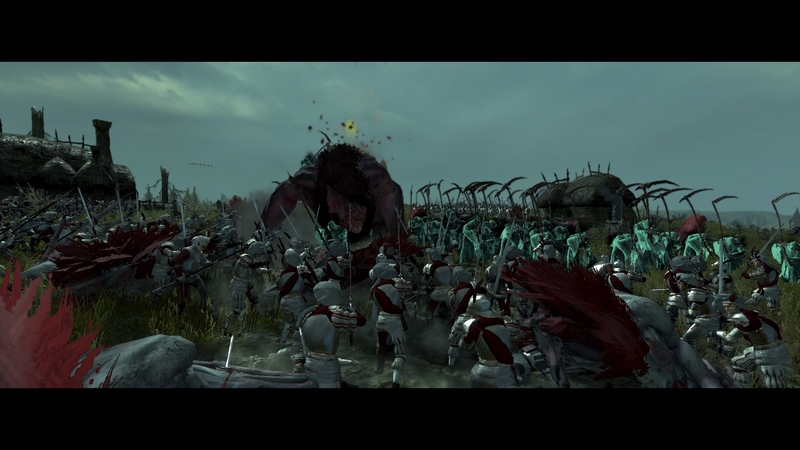 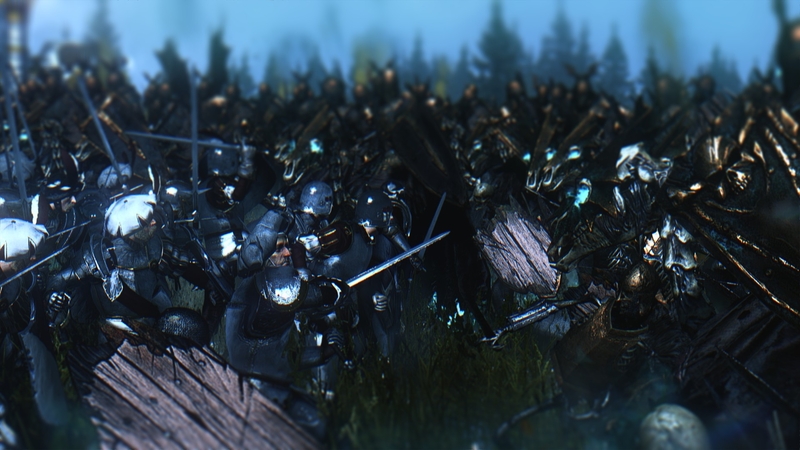 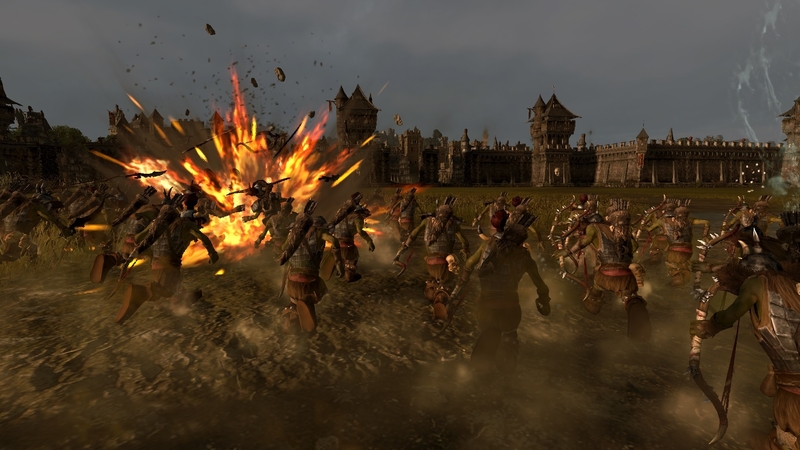 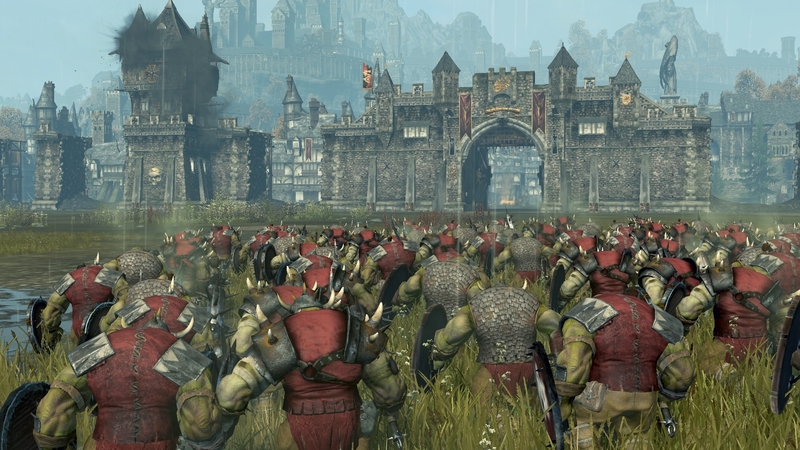 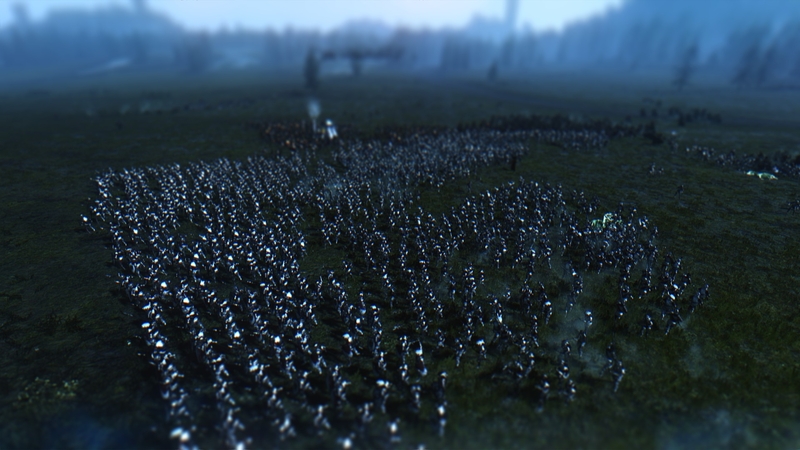 Auto resolving has been hugely improvement in warhammer 2, its far better compared to the first one, but it still needs some tweaking, especially the dark elves. 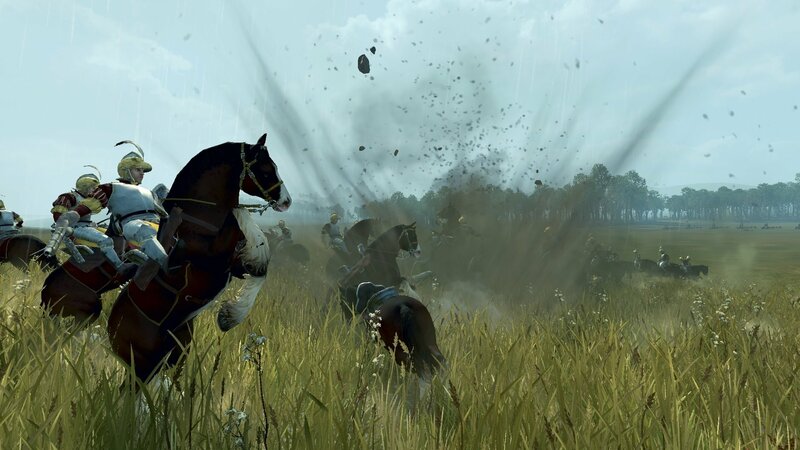 Save the battle replay and take the shots when you rewatch it. 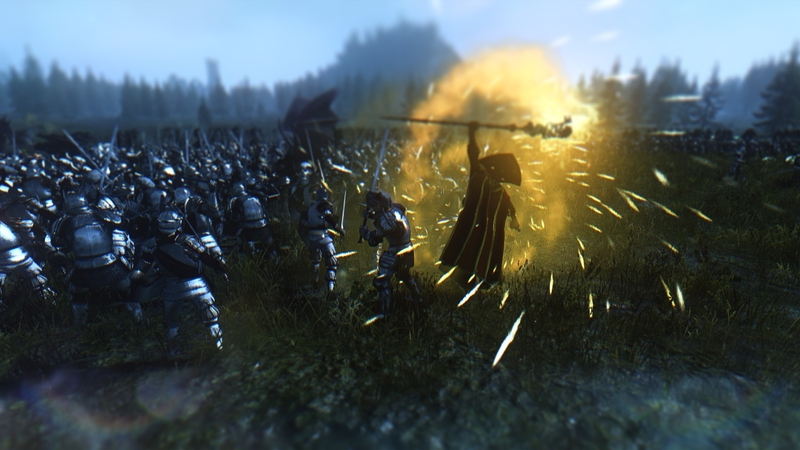 Good idea, shame I haven't thought of this earlier, stupid me. 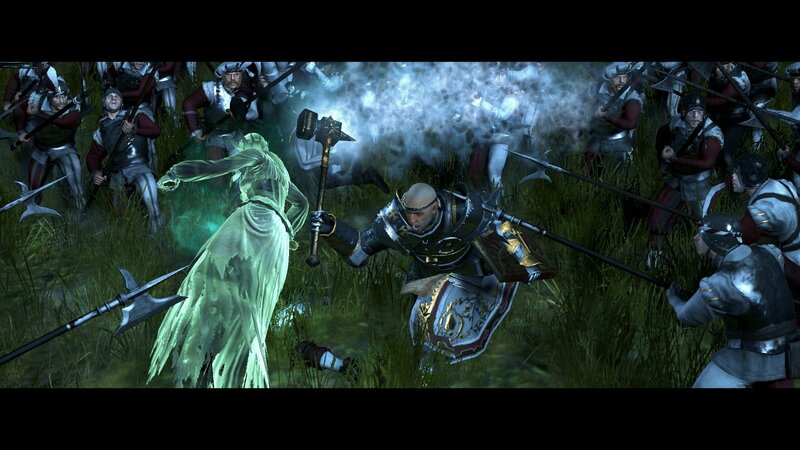 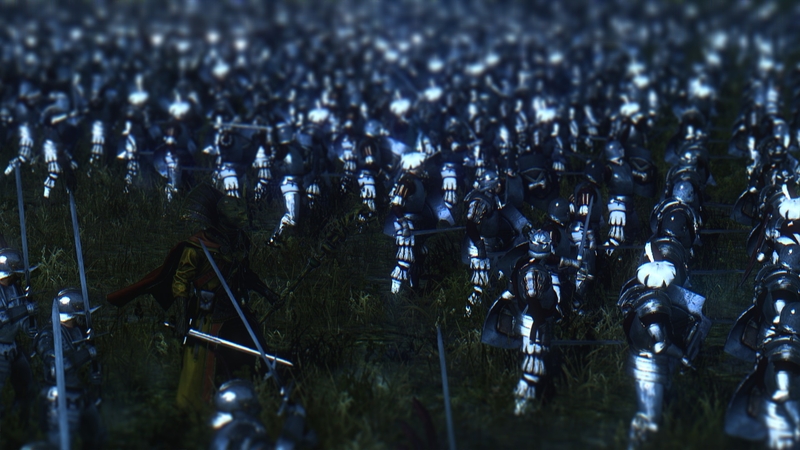 The Princes' defenders are surprisingly staunch though, and do their best to hold back the flood of green. 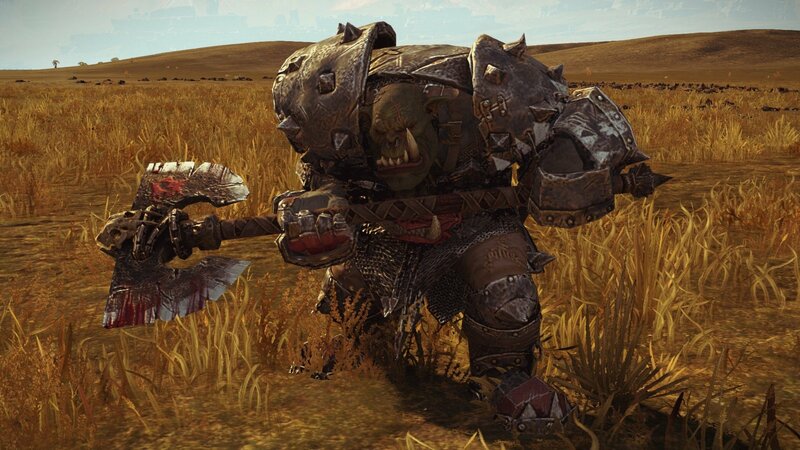 They cannot hold all the breaches though, and once Urk's boar boyz sneak through on one end, they proceed to devastate their foe's rear. 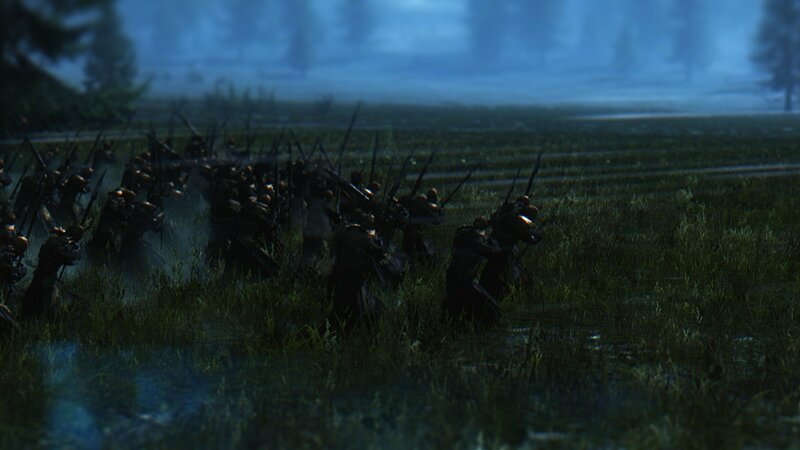 Time to sack another place, boyz! 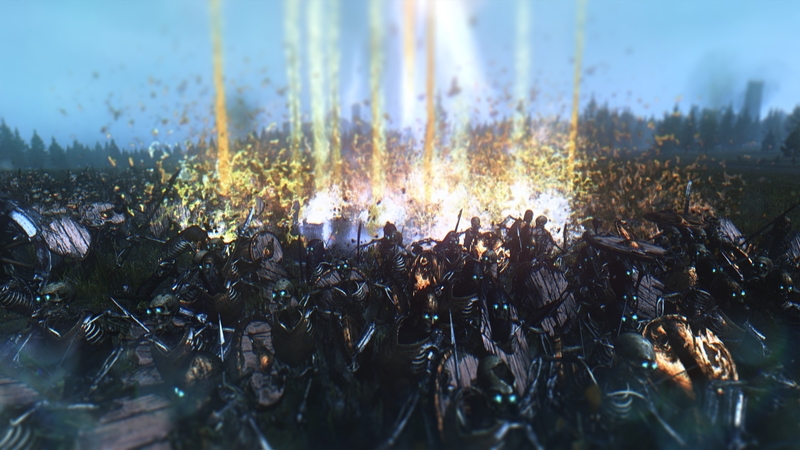 Melt down that statue! 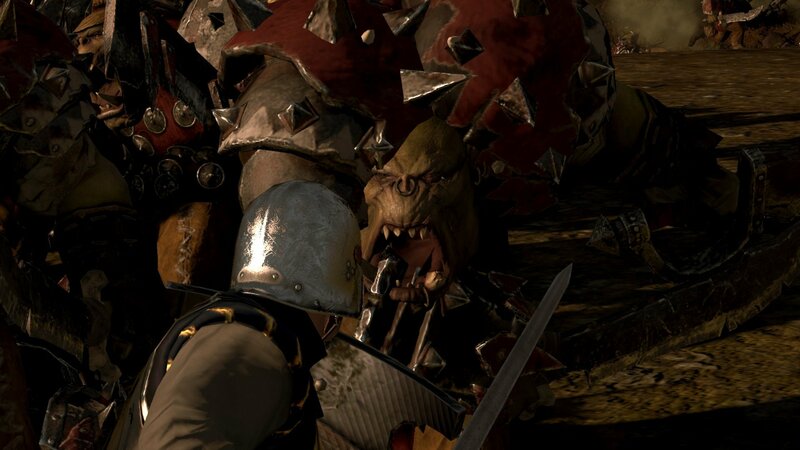 Meanwhile, Grimgor, in search of a fine (as in, blood-soaked) armour, deals with a headache of a dwarf force that right from the start begins bombarding him. 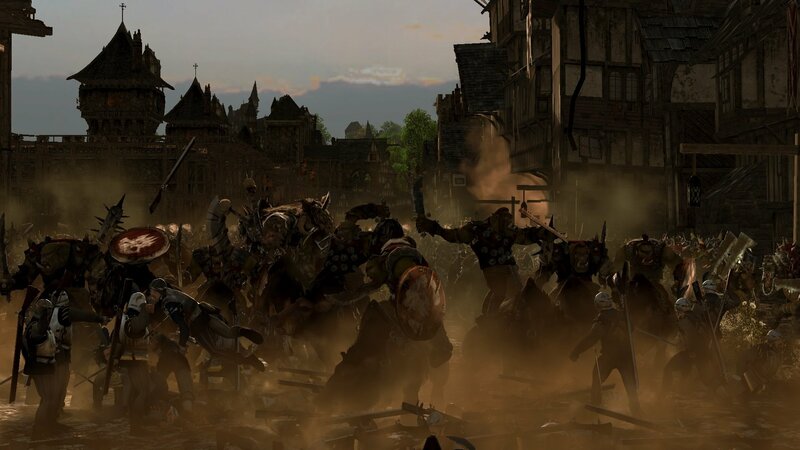 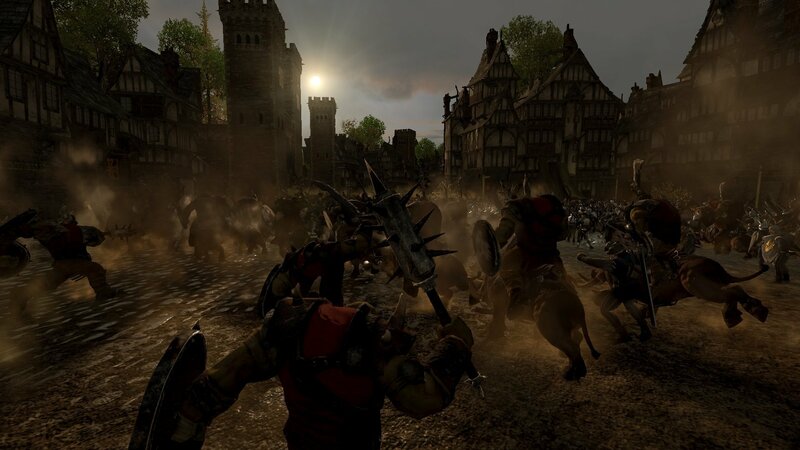 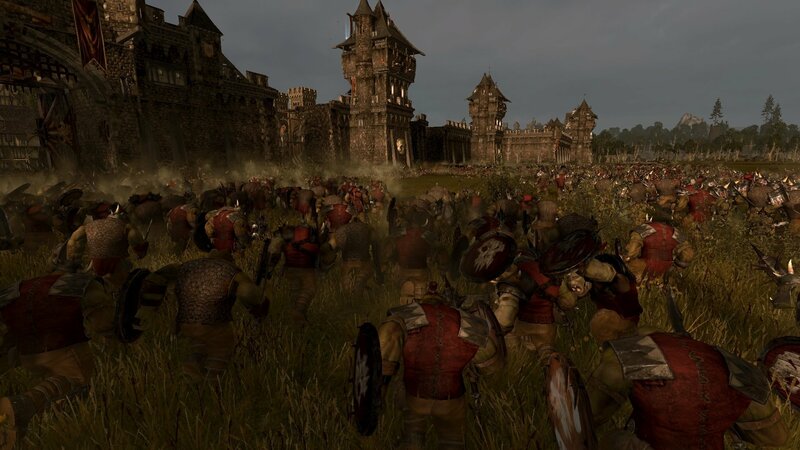 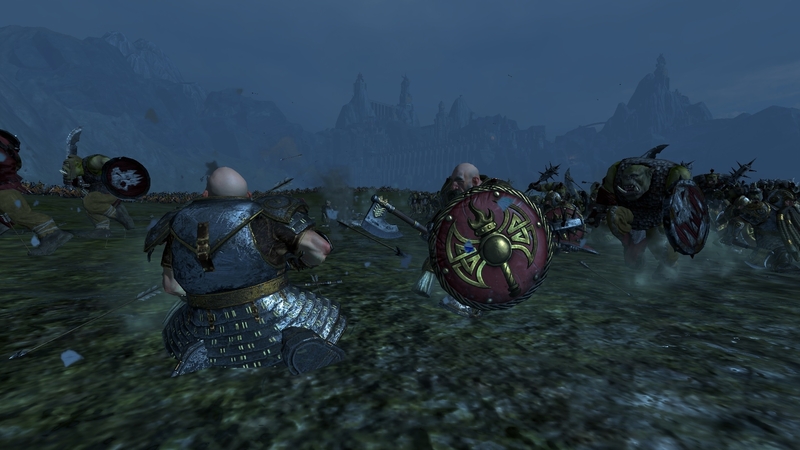 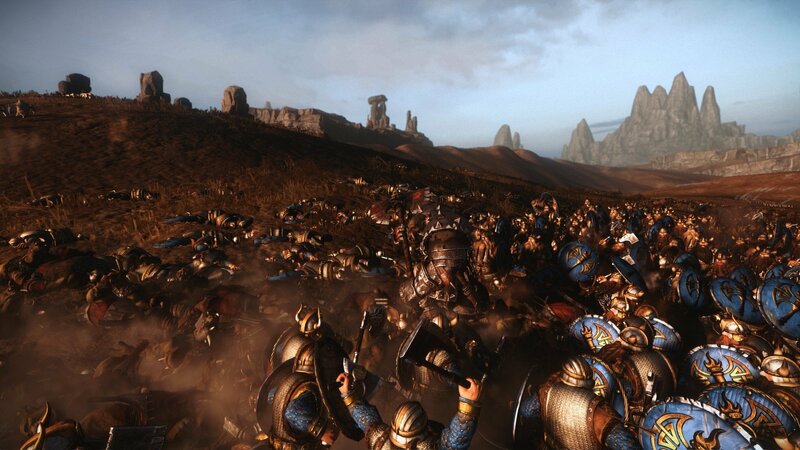 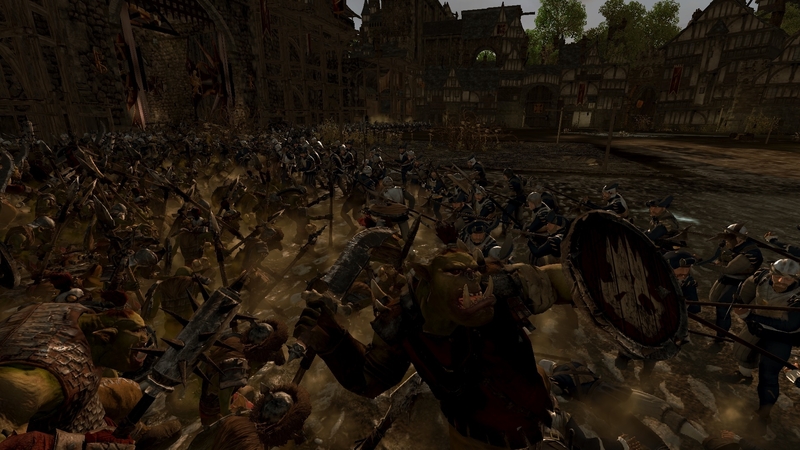 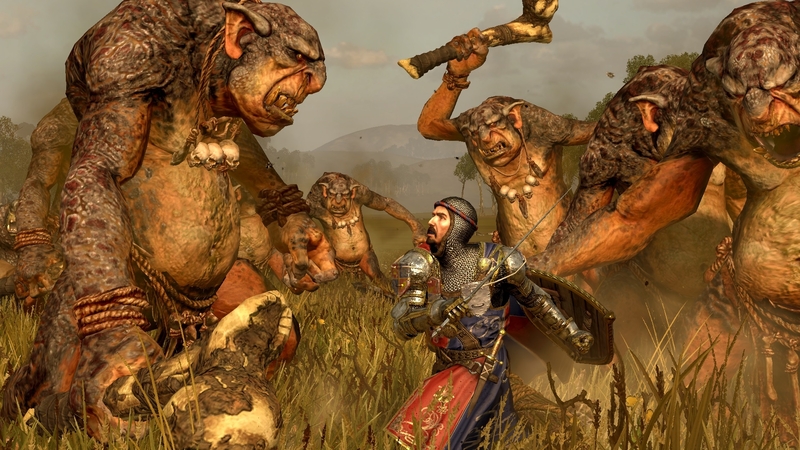 Under his angry gaze, orcs are driven to slaughter in their hundreds to destroy the hated Dwarfs. 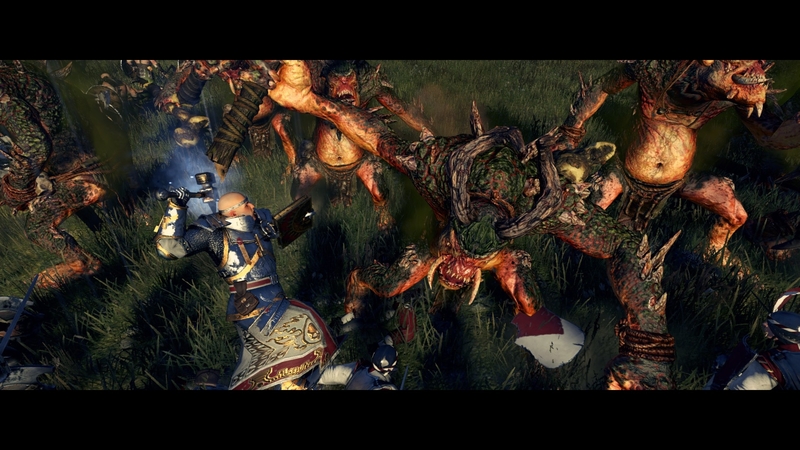 In the end, he's victorious, but no armour is yet found, making him enraged, and he's lost hundreds if not thousands of boyz, which he frankly doesn't care about. 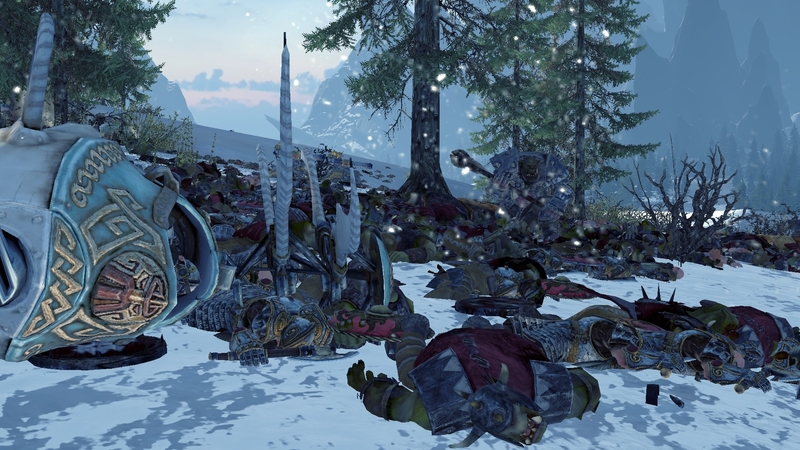 As Grimgor's troops recover from the brutal battle, Urk Legbiter is not taking it easy. 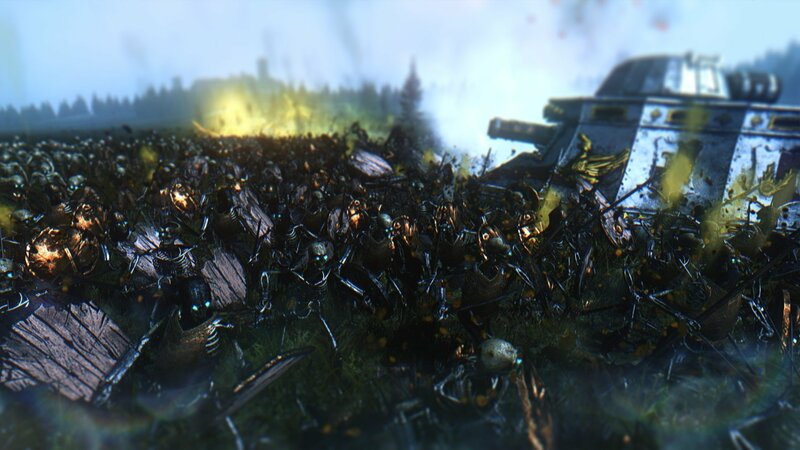 With a fresh Waaagh army in his tow, he forces the already stricken Border Princes, their capital looted for a whooping 12 000 in valuables, pay another 1 800 for peace. 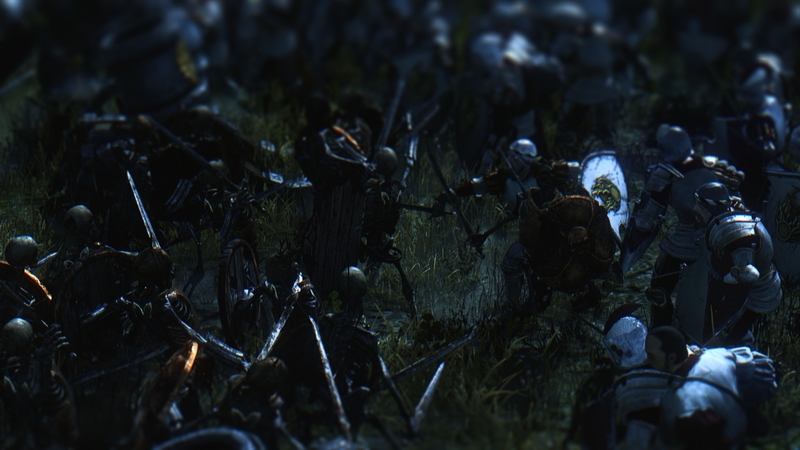 Then he moves further west, finding an embattled Tilea surrounded by grudge-fuelled dwarfs. 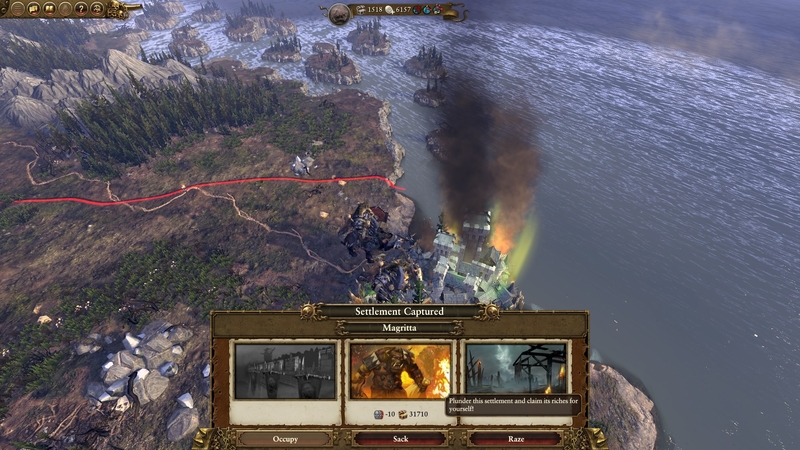 Of course, spotting the weak party and how their forces are moving away from home, he yet again strikes at a wealthy capital. 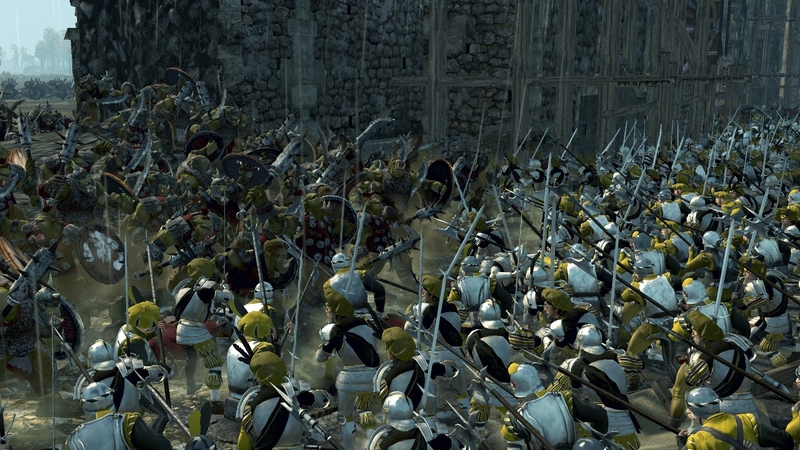 Miragliano, walls yet again wrecked by our cunning little goblin, stands vulnerable as hordes of greenskin throws themselves into the teeth of enemy fire. 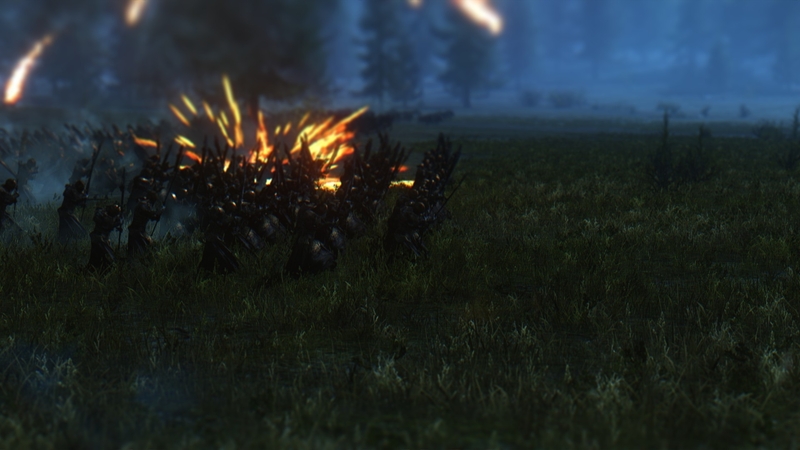 Urk almost has a grasp of tactics, or at least of selfishness. 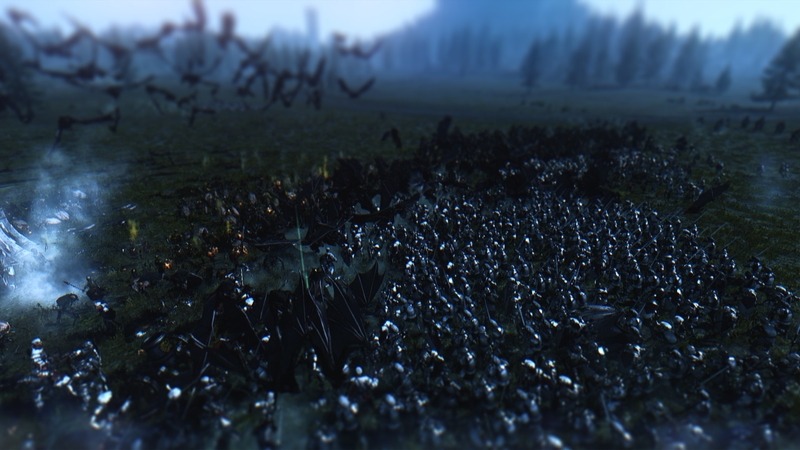 He orders those orcs following in his tail, rather than his own boyz, to lead the assault. 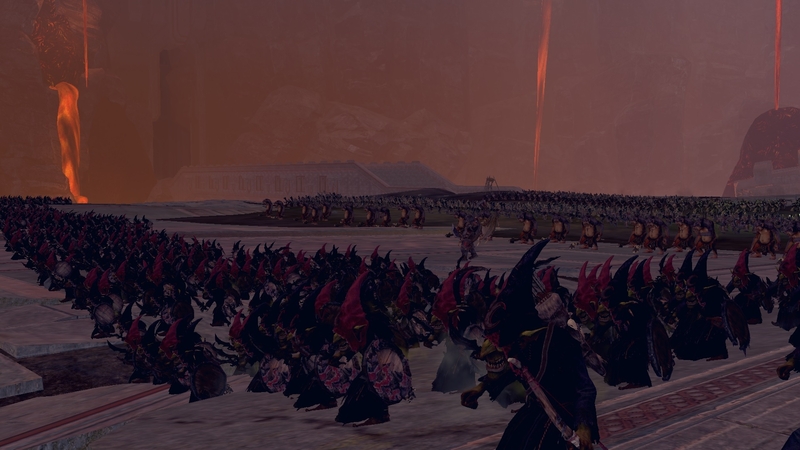 And only once the enemy is engaged and slowly pushed away from the walls, does his own boyz start to advance. 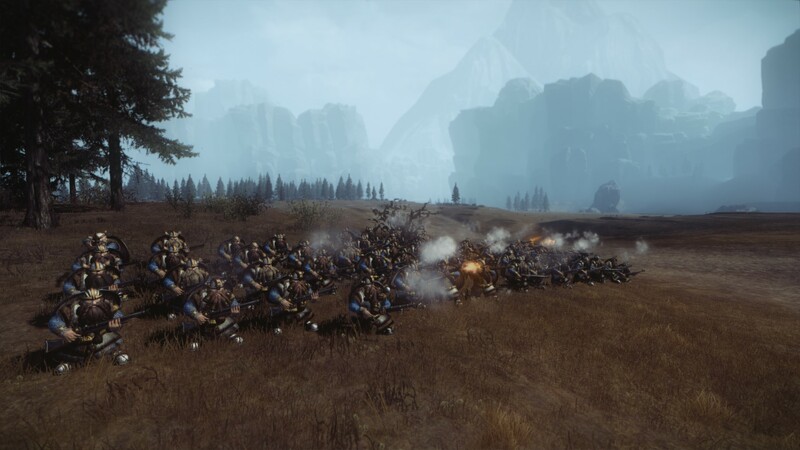 ...but there's no stopping the waaagh! 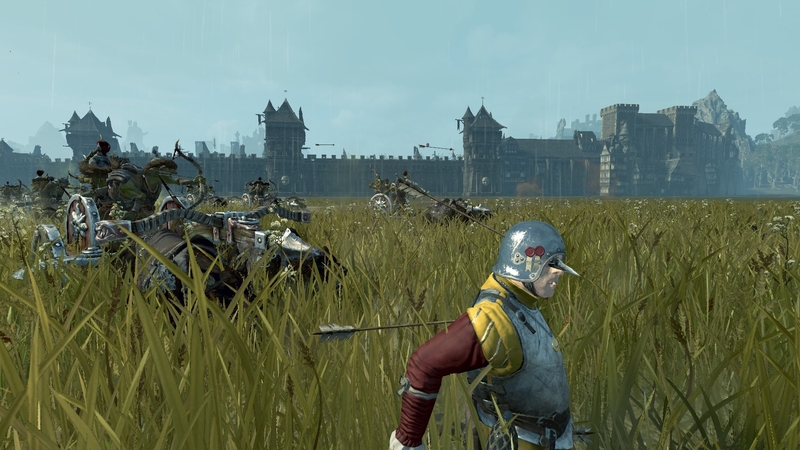 Looting this place, now that the defenders are gone...might take some time. 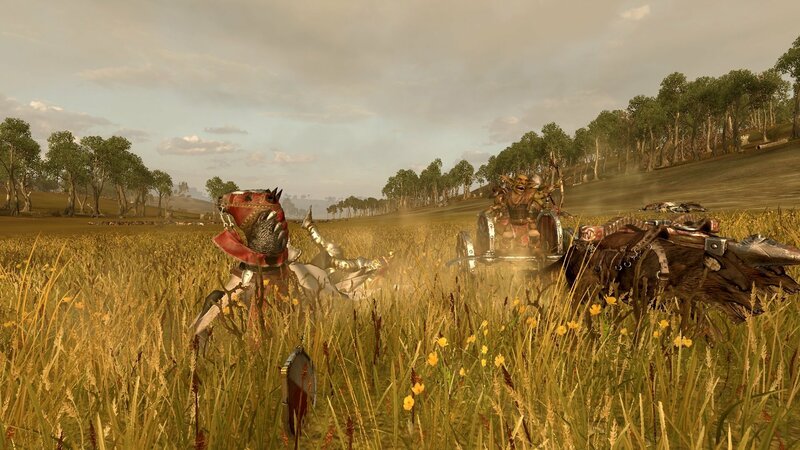 Next, sailing west, he finds Estalia ripe for plucking as the foolish umies are busy fighting some horsie-umies over in Carcassone. 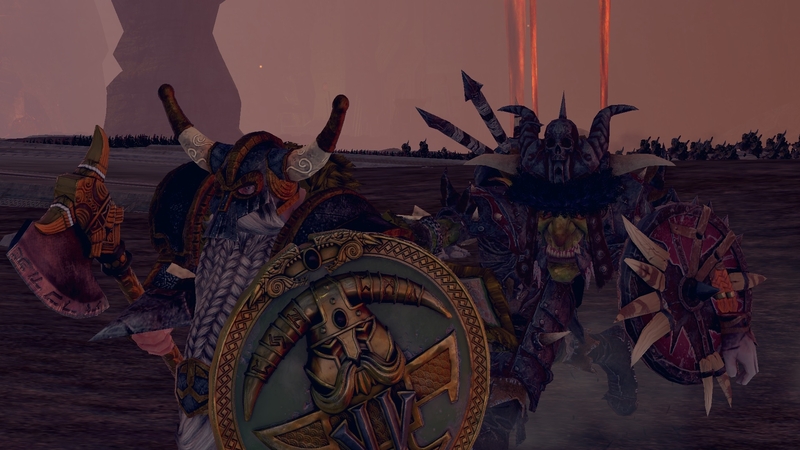 As such, Urk eagerly moves in on Tobaro. 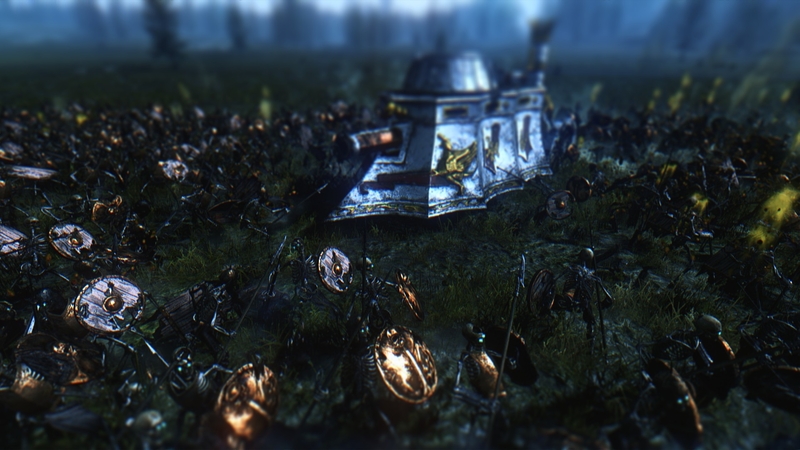 It's not a long battle, and now Urk and his waaagh lay poised to attack wealthy Magritta! 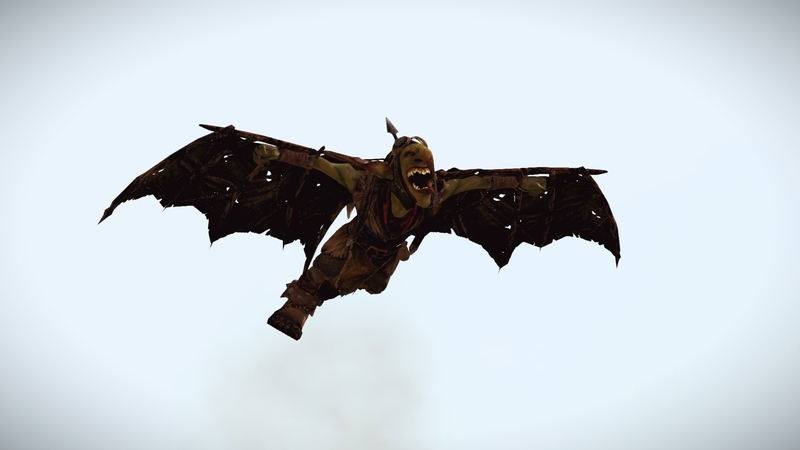 Oh, if we're already talking about WAAAAAAAAAAAAGHHHHH! 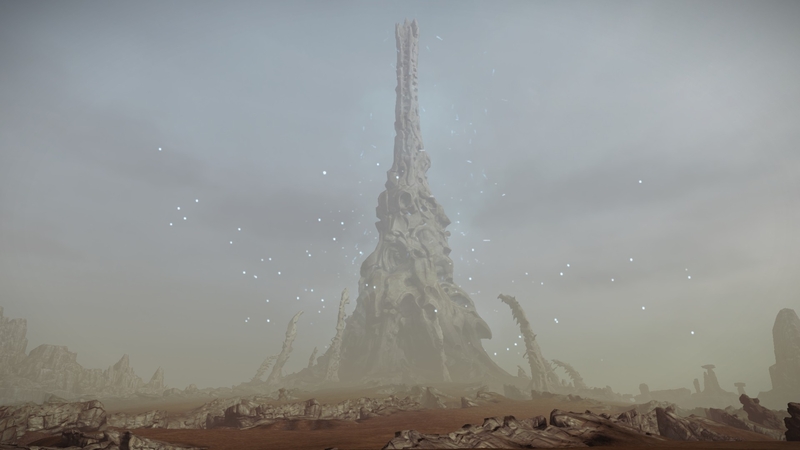 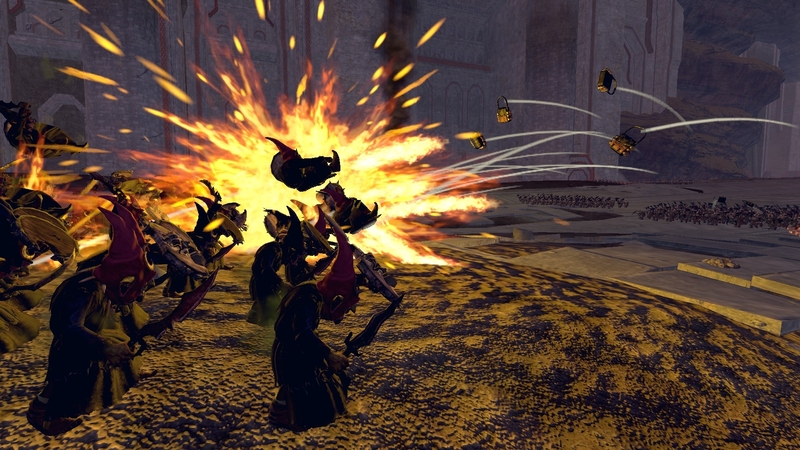 Glad to see you're still contributing to these screenshot threads, Setrus! 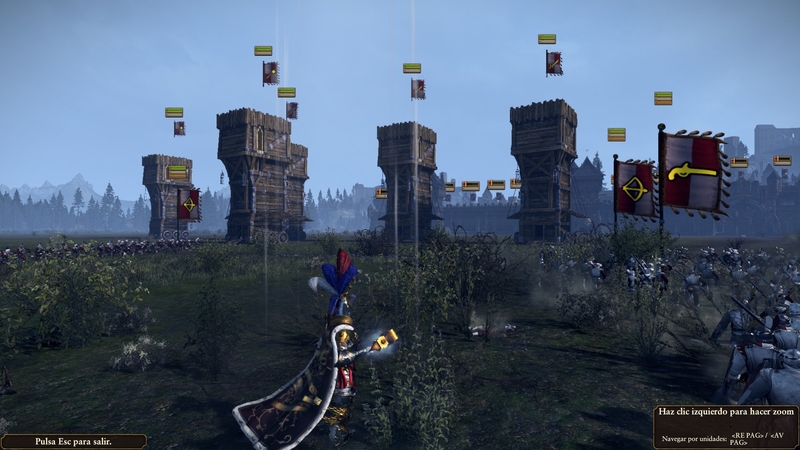 Had hands down the most exciting battle I've ever had in a TW game. 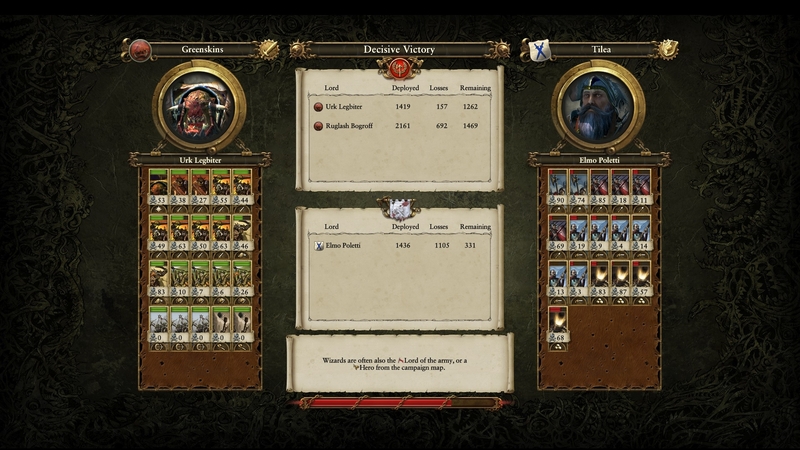 I was the Vampire Counts sieging Belhafen, which belonged to Ostermark. 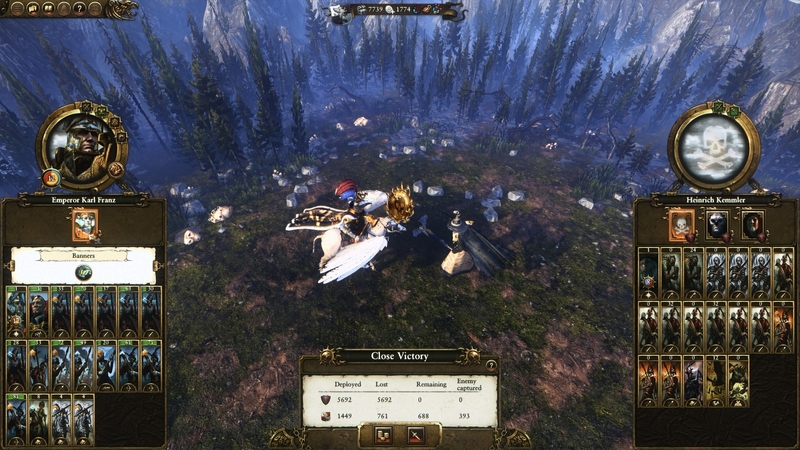 And with that, the battle is won! 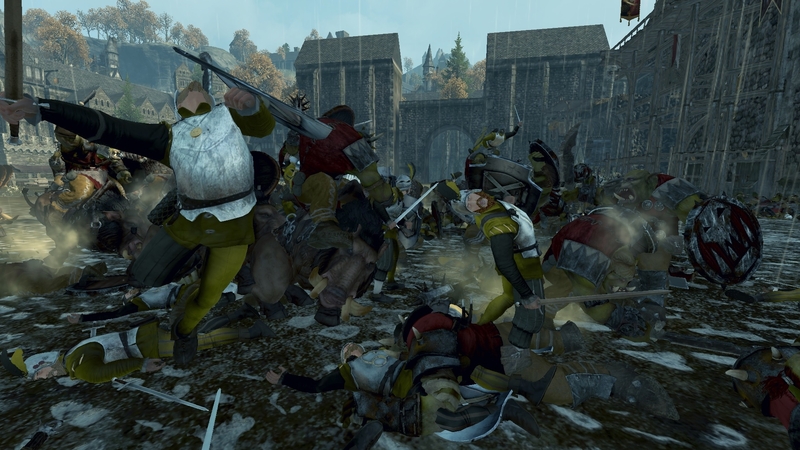 It was a really intense battle that seemed uncertain until I was able to claim the walls. 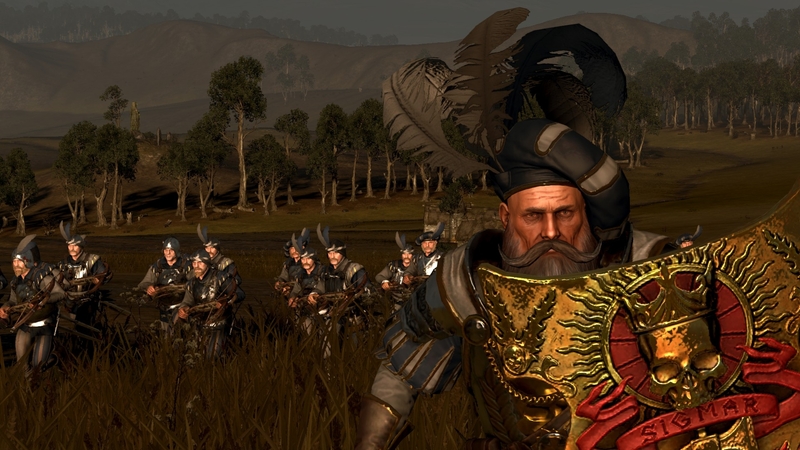 And glad to see you in the mix as well, man, Ostermark troops actually look pretty awesome like that. 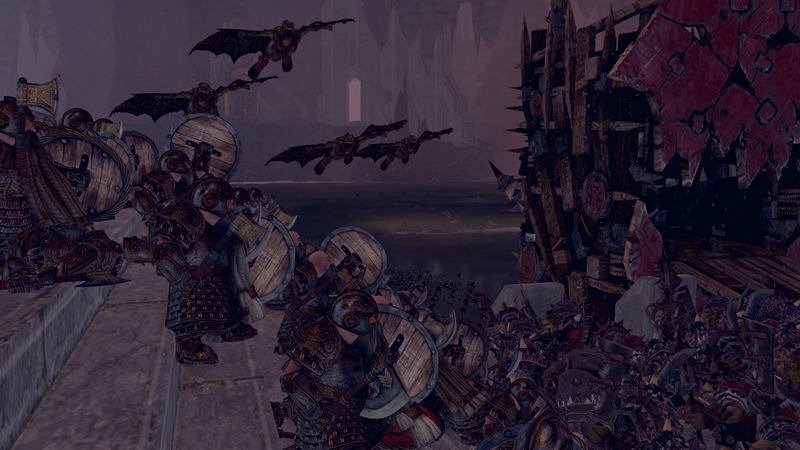 And yeah, Vargheists vs the walls is just mean. 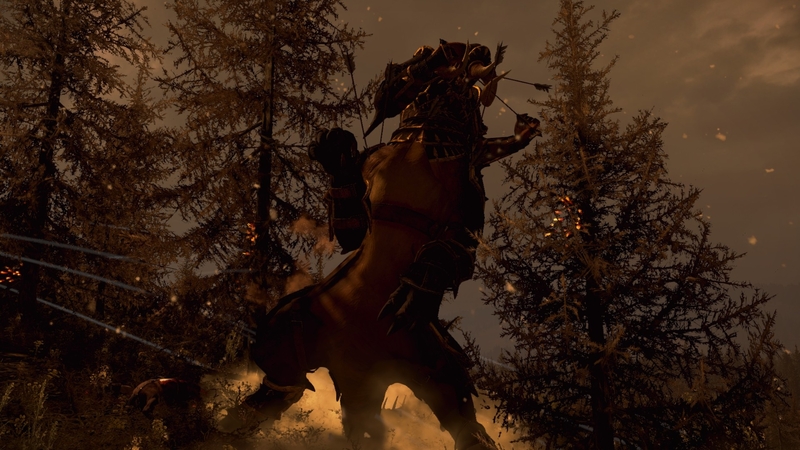 Well!? 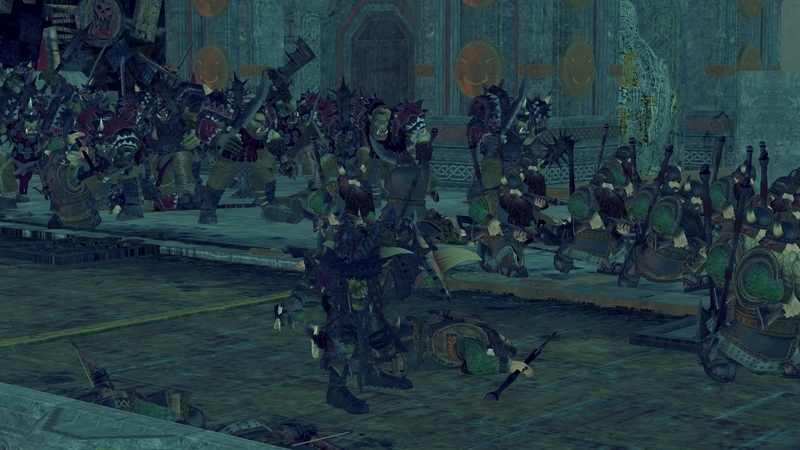 How did it go!? 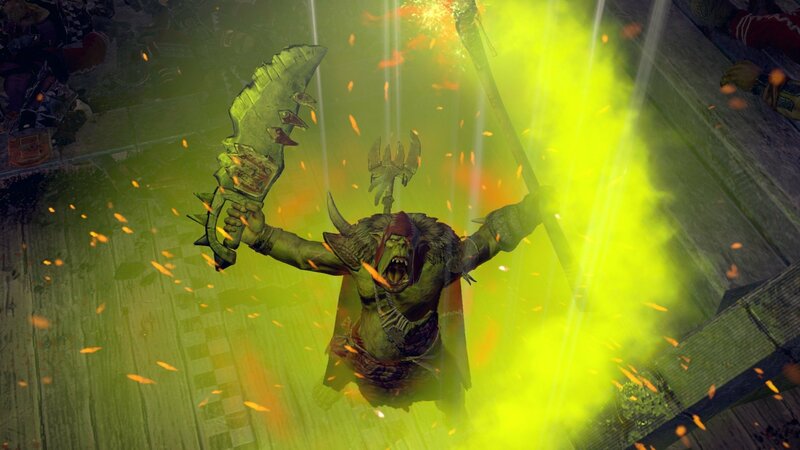 Now, time for the beautiful and rich Magritta. 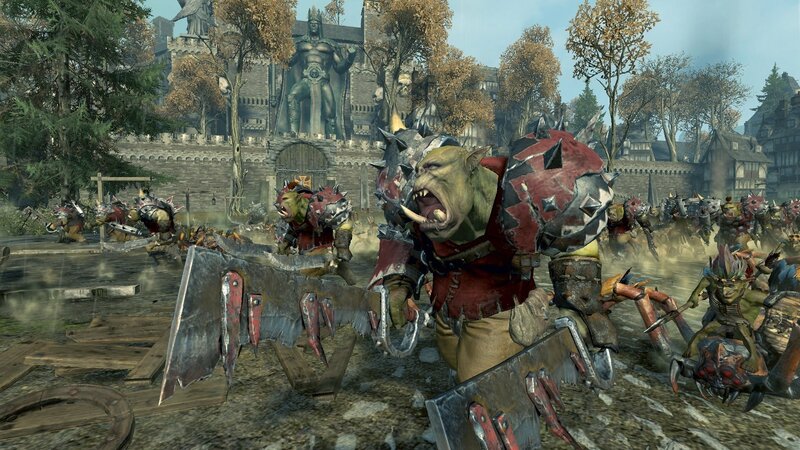 This city is no different and also suffers Boggrup's attention before the attack. 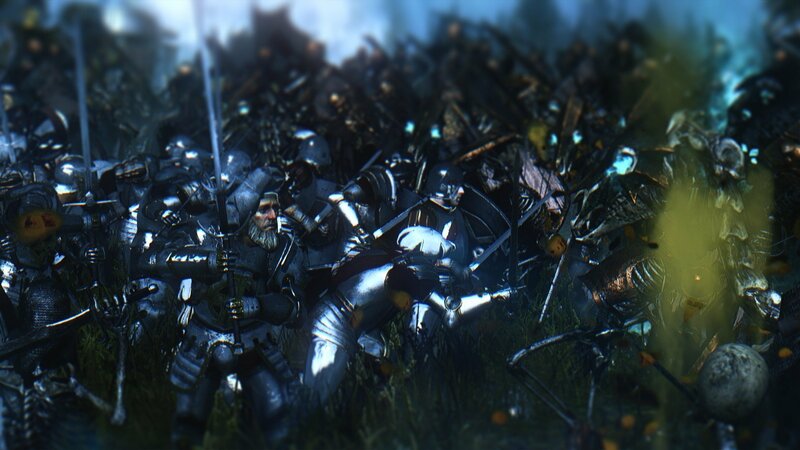 I've had to nickname him "Da Sapper" by now. 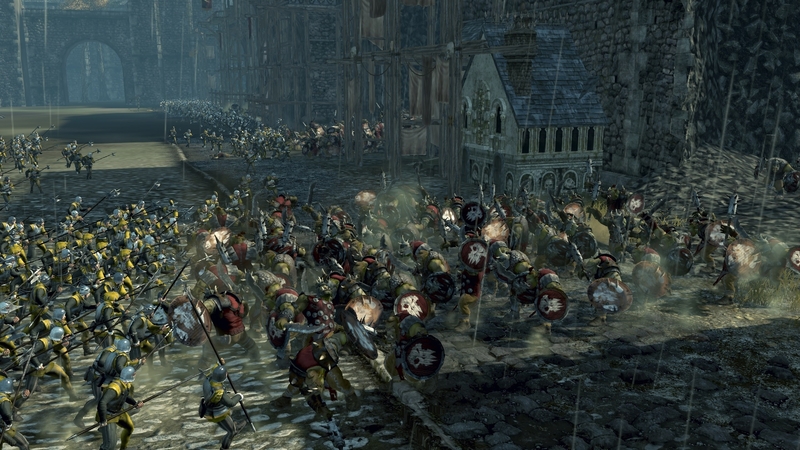 With the walls nigh on a non-issue, Urk Legbiter leads his numerous warriors into the city. 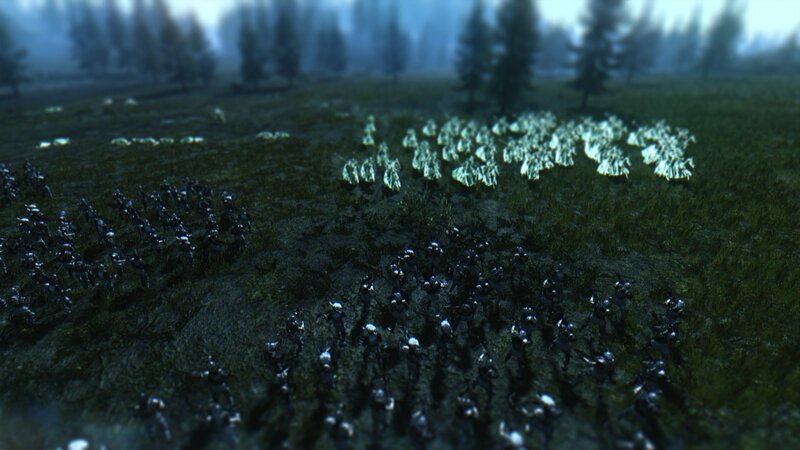 The Estalians fight well, but they only needed to break in one spot for the tide of green to pour into the city and sweep all before them. 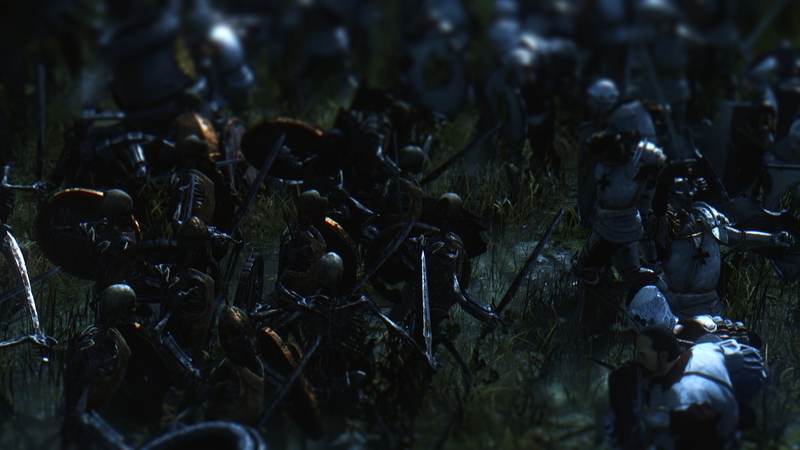 There is no mercy for those who run away. 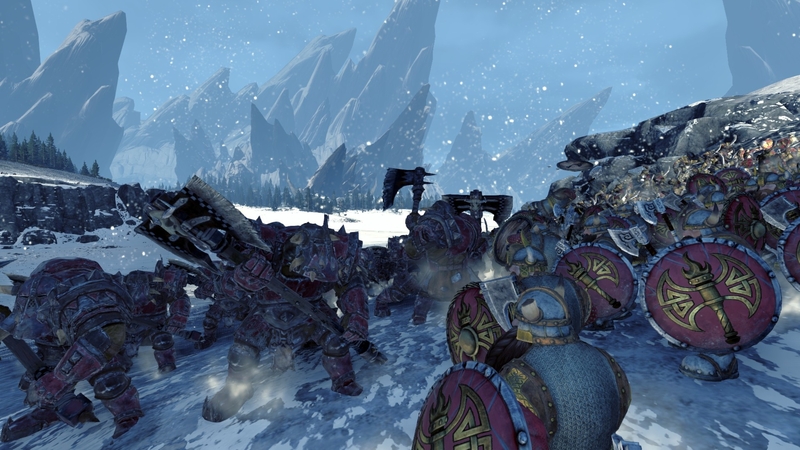 All Urk's boyz get to do is to hunt down some routers as the city is sacked. 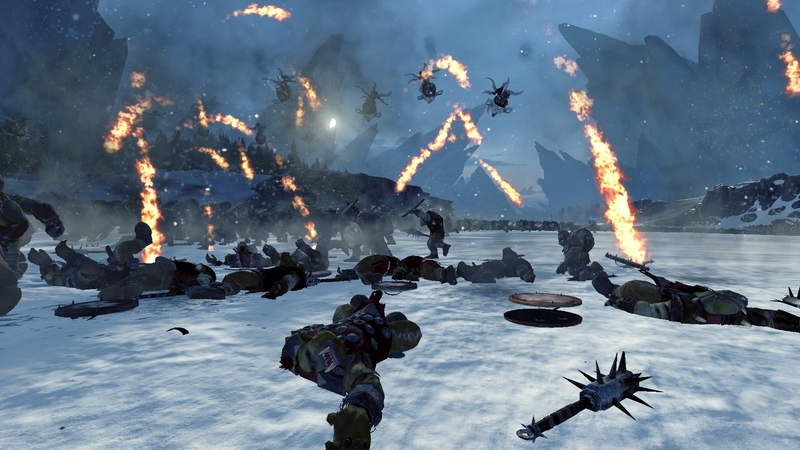 However, the over-zelaous waaagh army then continues its rampage...and is destroyed on its own when facing an Estalian army coming to reinforce. 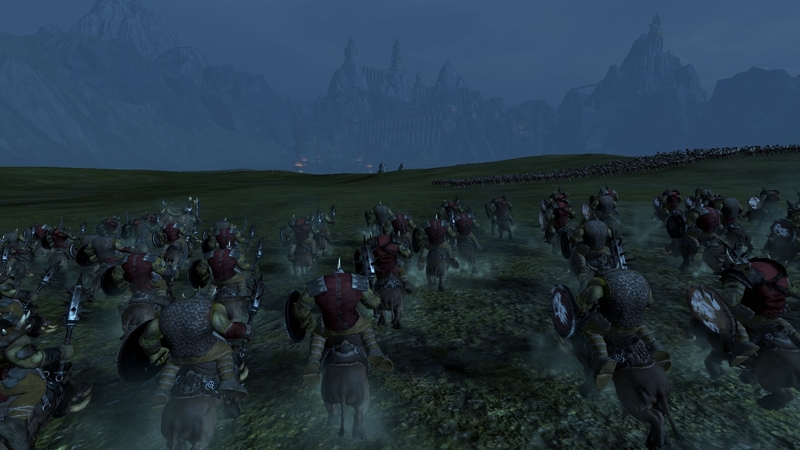 Then, the Estalians sneak past Urk and garrisons Bilbali...this won't stand! 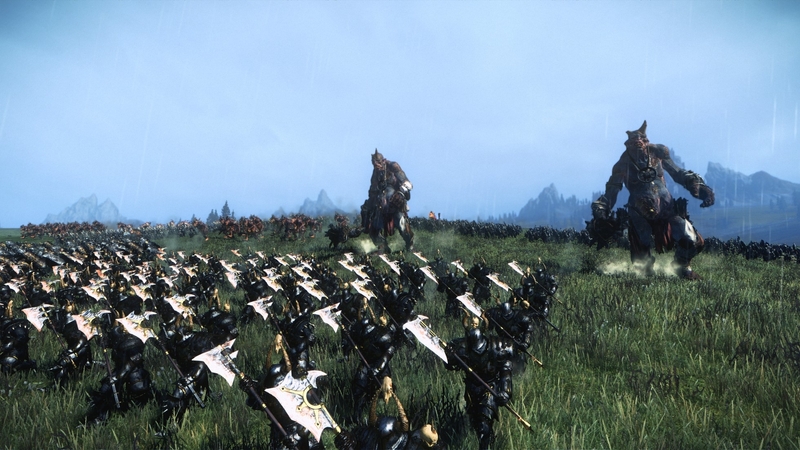 Urk, leading his boyz back, attack! 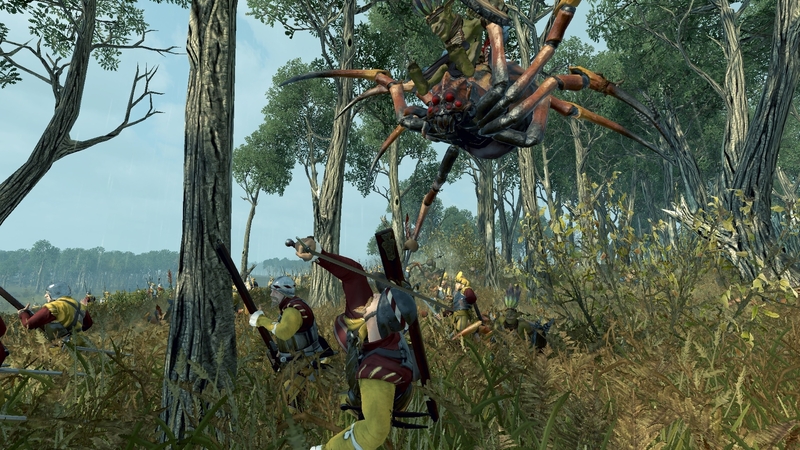 Advancing against the greenskin horde, the Estalians suffer an ambush as they move through a forest as goblin spider riders appear from the treetops. 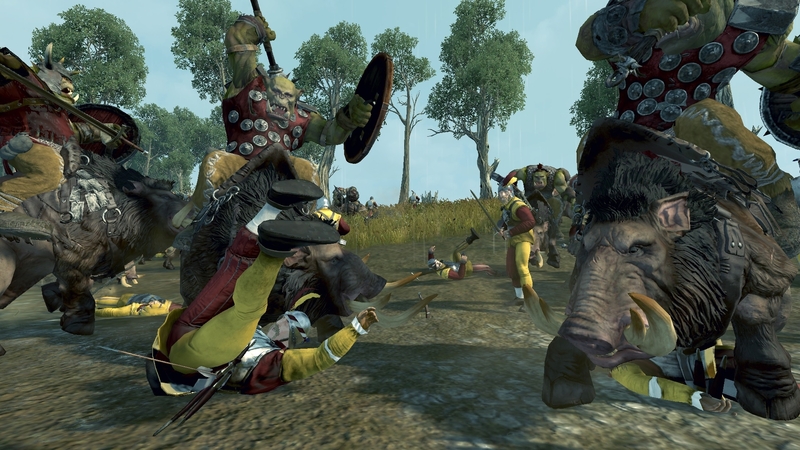 Thrown into chaos by this flanking attack and the frontal assault by the greenskin infantry while rocks land among their ranks, the Estalians are vulnerable to yet more flanking as Urk's boar boyz charge in. 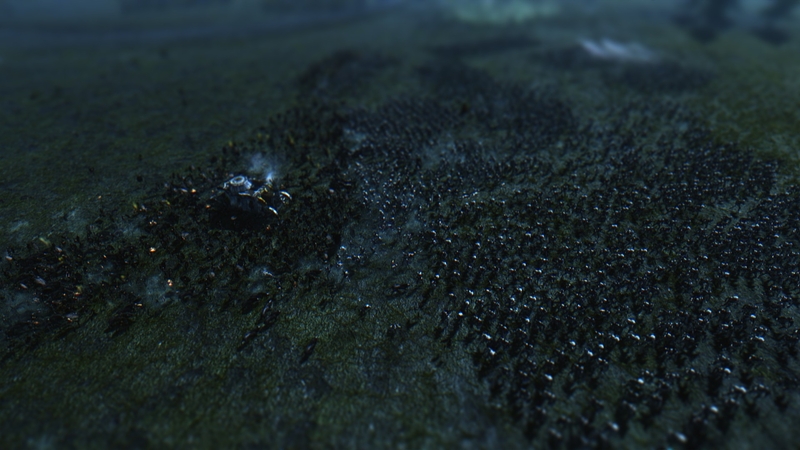 Meanwhile, on urging by the Top Knotz, Grimgor declares war on Karak Izor. 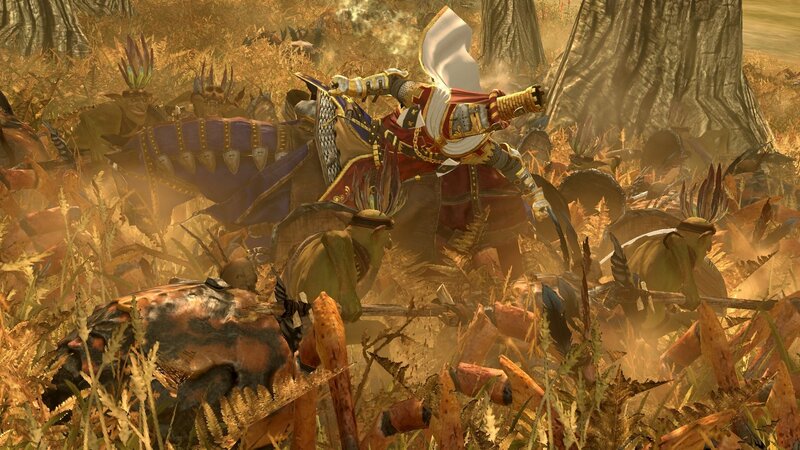 No other than Azhag the Slaughterer is sent to deal with them with a fresh army. 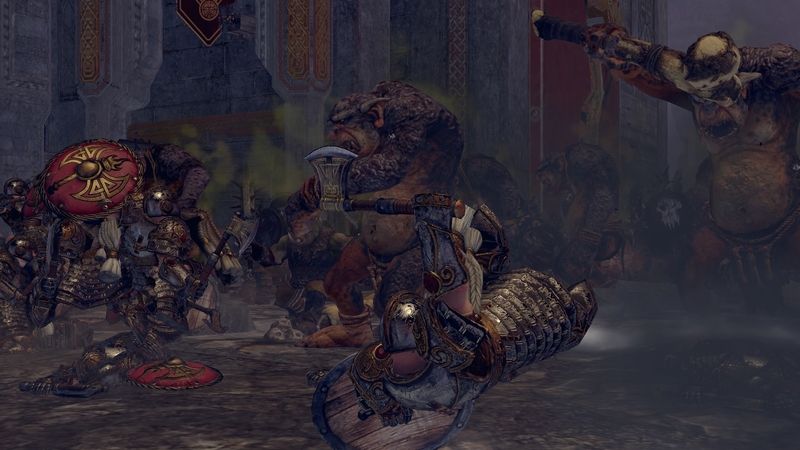 However, underground he's intercepted by a Kazran the Man-Slayer, a scary dwarf with a deadly army. 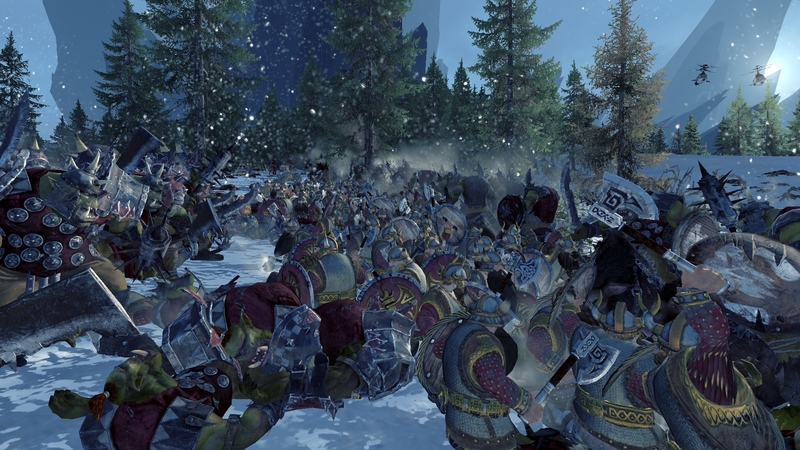 However, the greenskins got the numbers, and the trolls, to start to overwhelm the dwarfs. 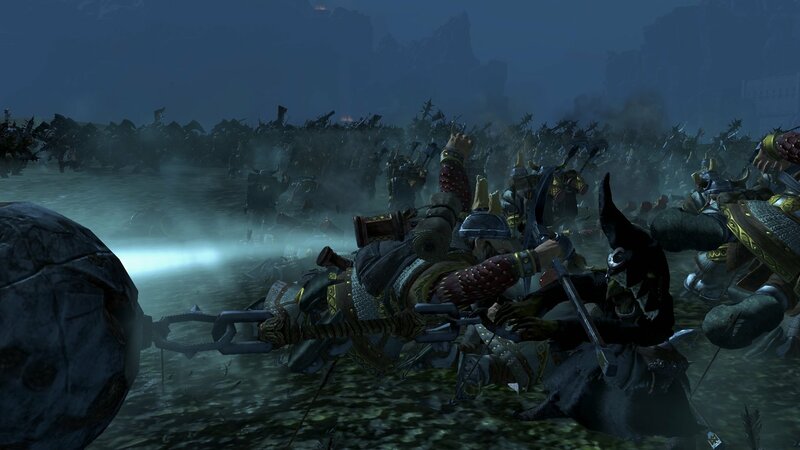 And while Kazran himself is a tough one, those dwarfs guarding him die in a hail of poisonous arrows, leaving Azhage and a sneaky goblin named Ublug Da Stabby to take on the crazy dwarf. 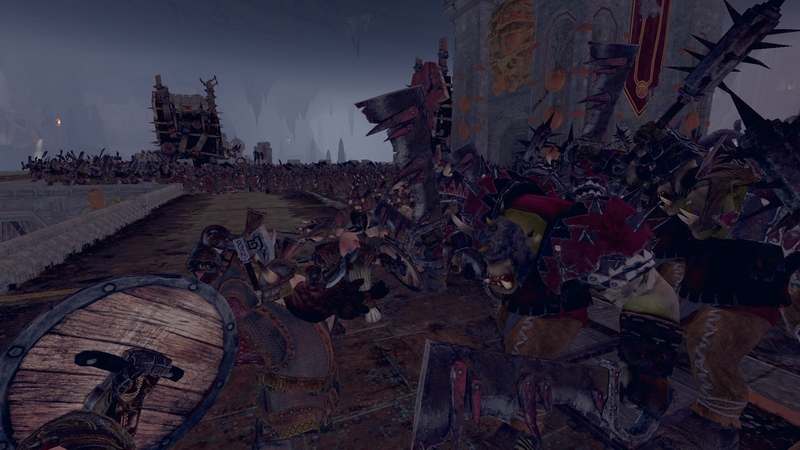 In the end, it's Ublug who deals the final blow as the fool dwarf flees alongside his men. 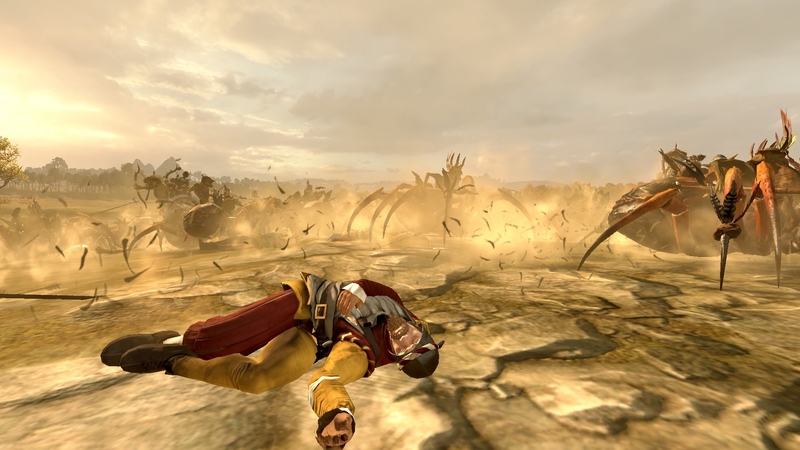 Despite this deadly blow, Kazran is reportedly only wounded and might reappear to take vengeance later on. 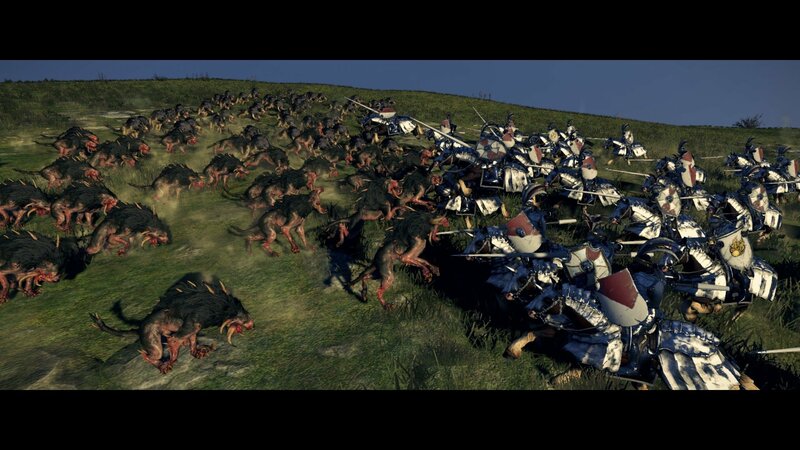 And Urk keeps sacking his way through Estalian territory, this time Brionne feels his ire...I love this army, better than any province in producing money. 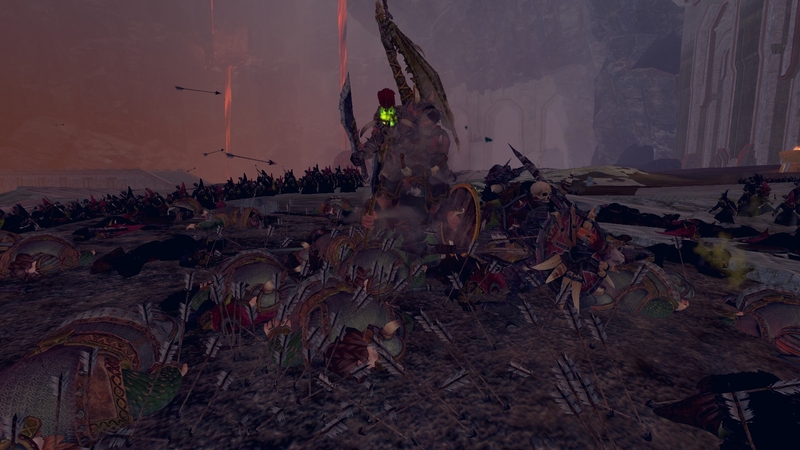 Some epic screenshots from my battle against the Vampire Counts! 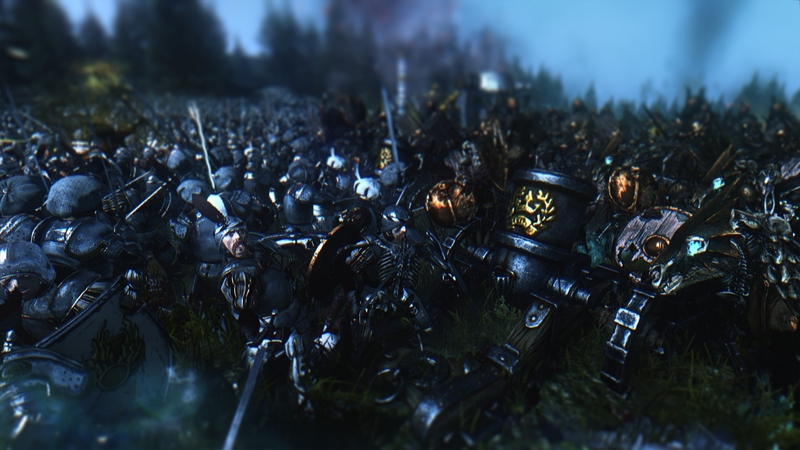 Taken from the final battle against the VC, Reiksmarshal Kurt Helborg fighting against a Vampire and the garrison of Drakenhof. 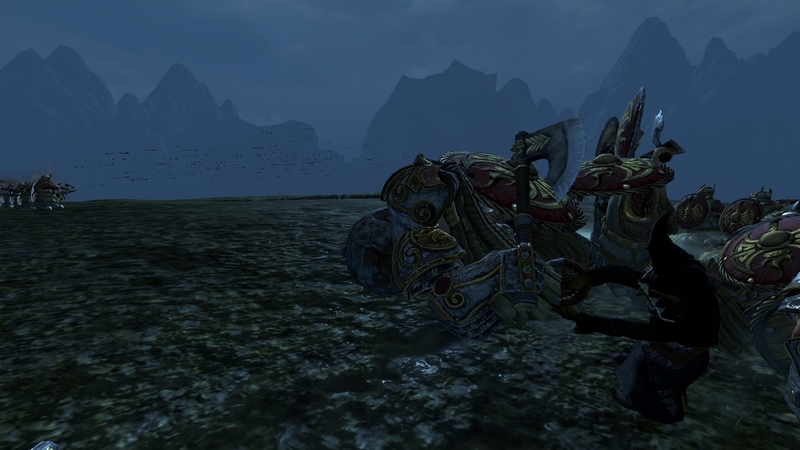 He's not seen here though, I named the Warrior Priest Luthor Huss. 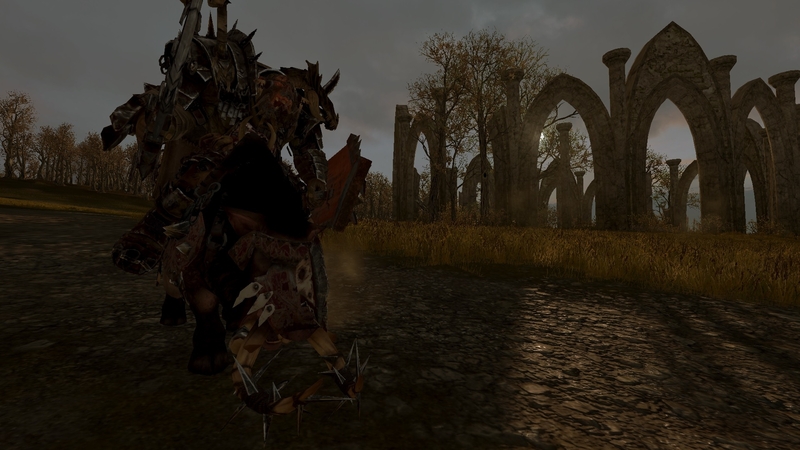 What GFX mod do you have, nosuchname? 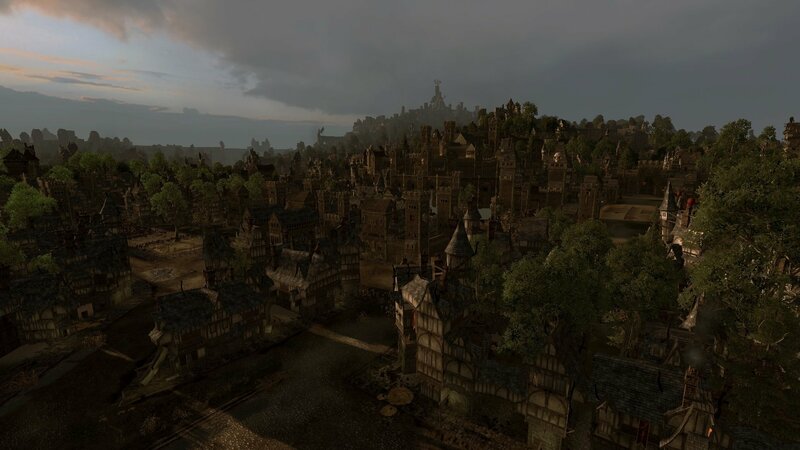 Im interested too, and also... do gfx improve performances or it adds effects that may slow down the graphic considering that i am playing with a gtx 750ti on high? 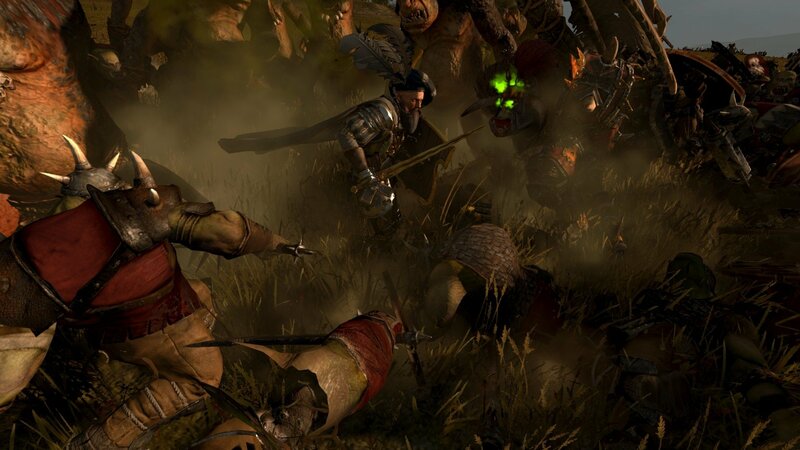 @corvo I LOVE that orc shaman one! 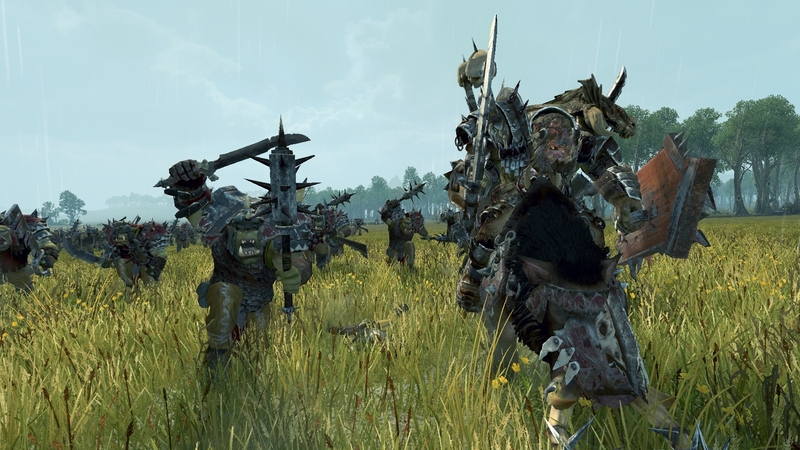 In my campaign, Grimgor paid a visit to Mount Gunbad as it's time to destroy Karak Kadrin while they're distracted with some spiky boyz up north. 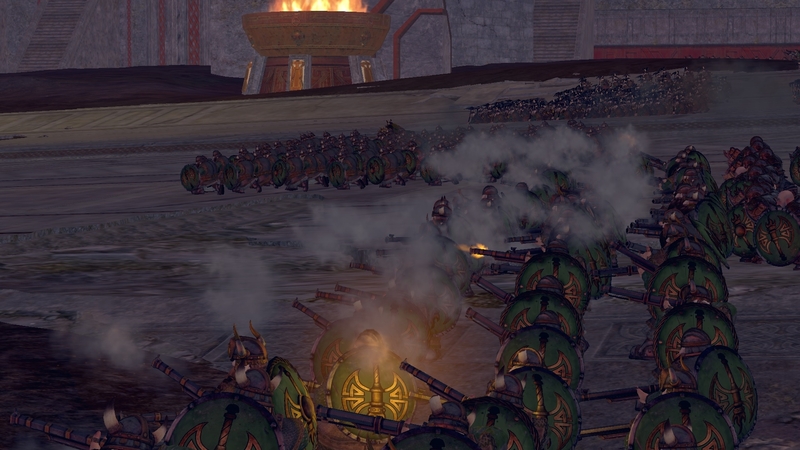 Supporting fire for the win! 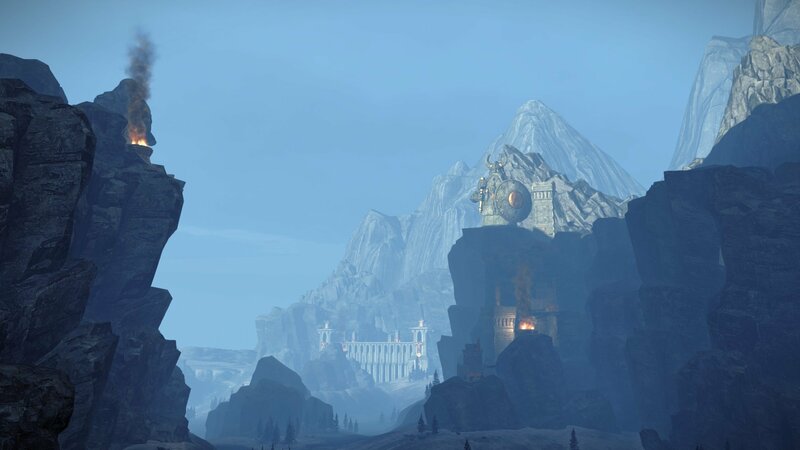 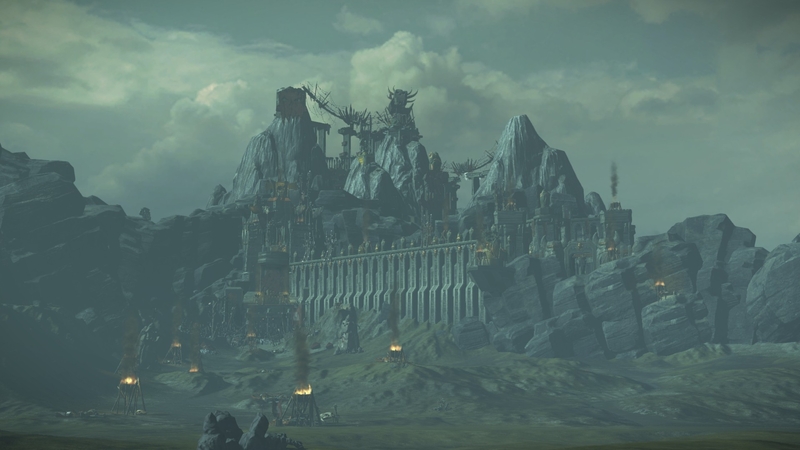 And in addition, a new army tunnels in next to Karag Dromar and surrounds the poor garrison. 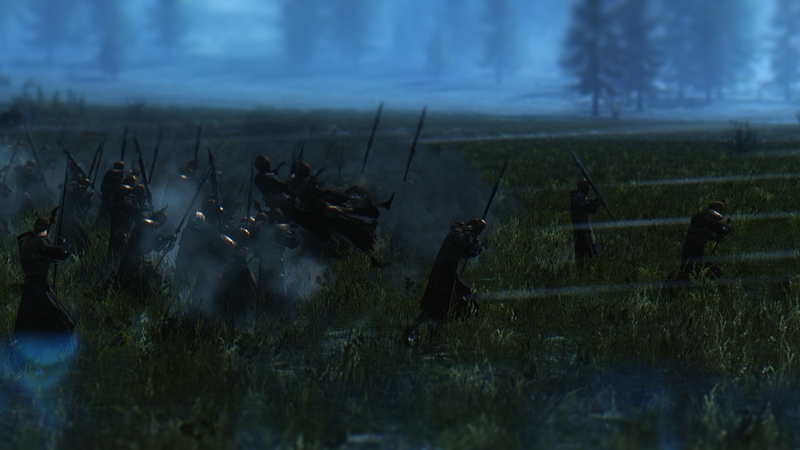 It doesn't take long for the garrison to rout and get shot to pieces trying to get out. 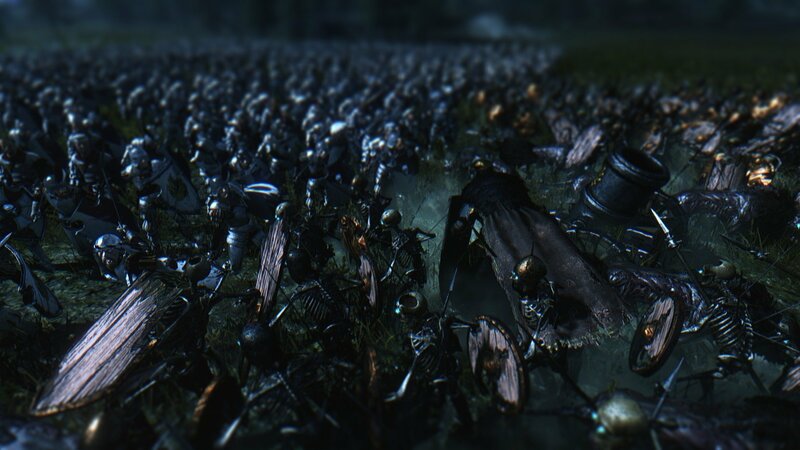 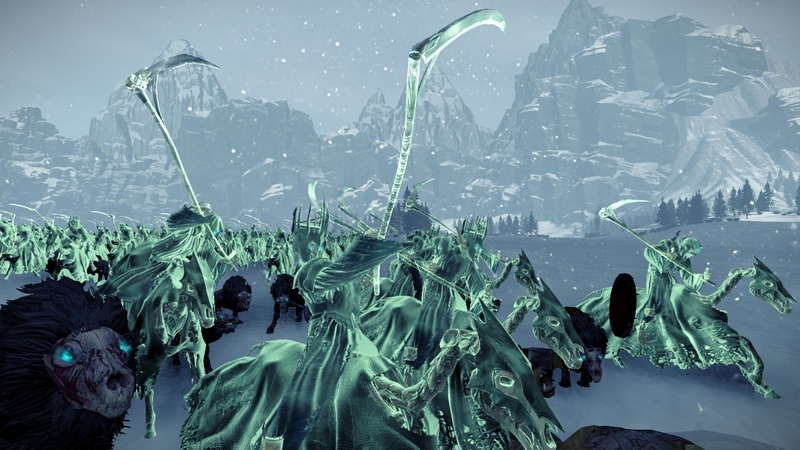 Ubbug Da Stabby nobly leading Azhag's lads in the conquest of Zarakzil. 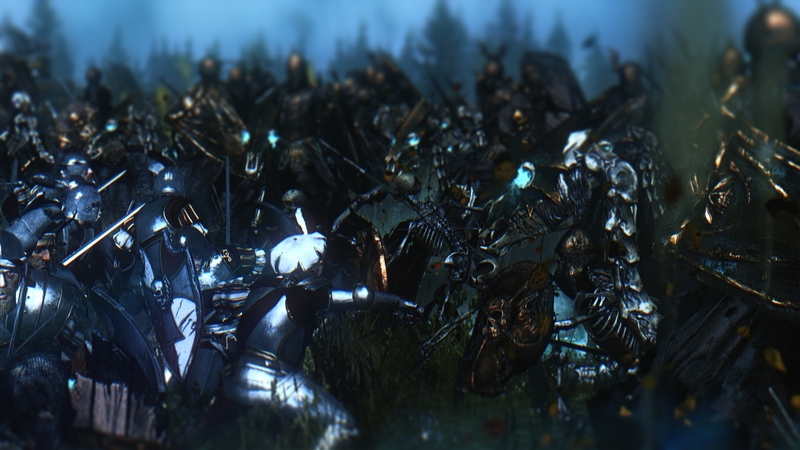 However, a grave injustice is done in the west! 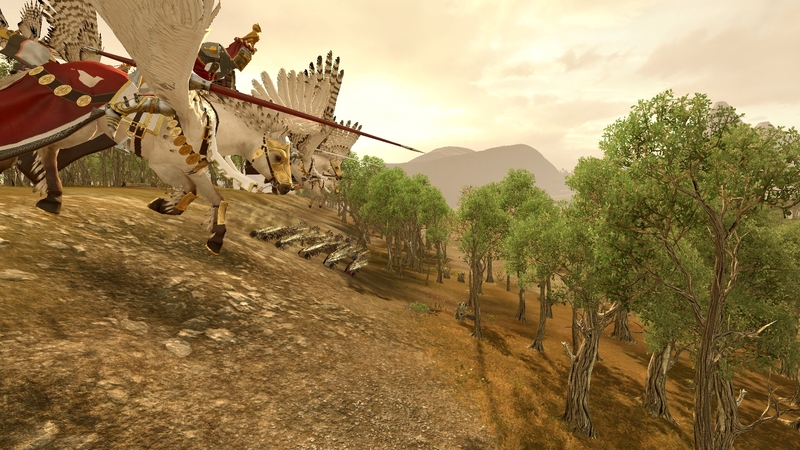 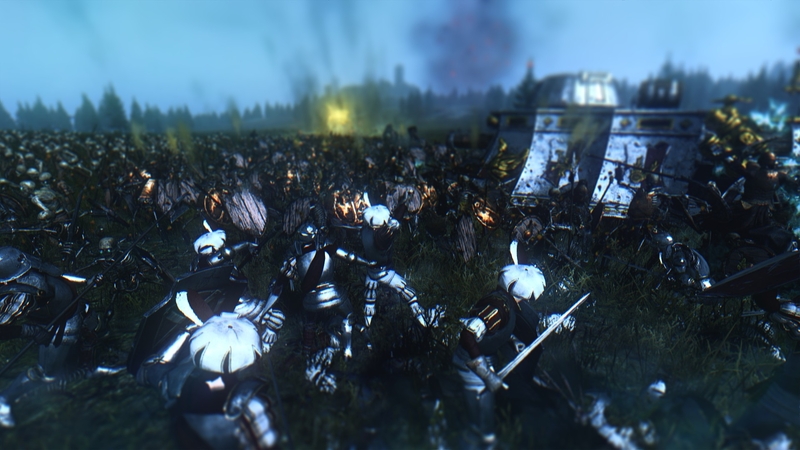 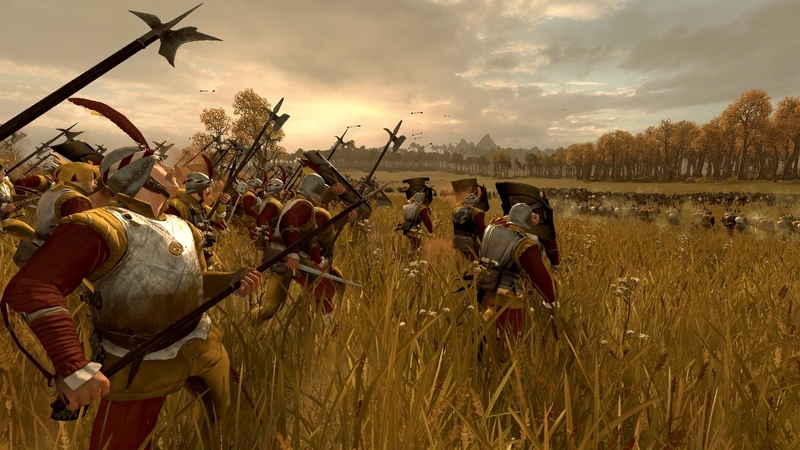 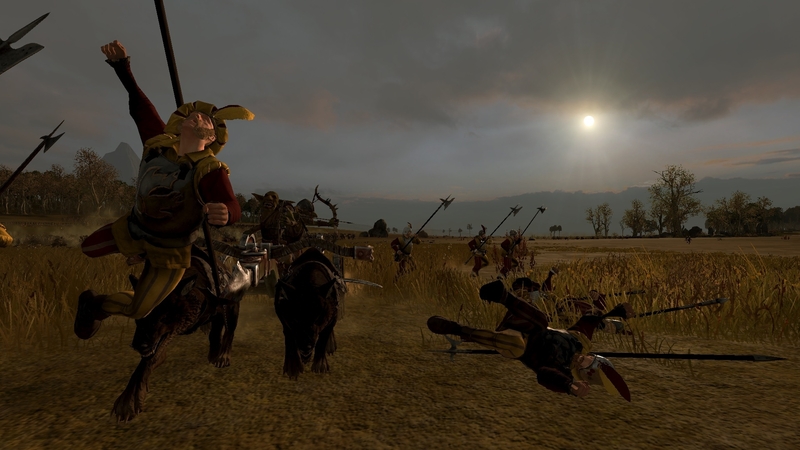 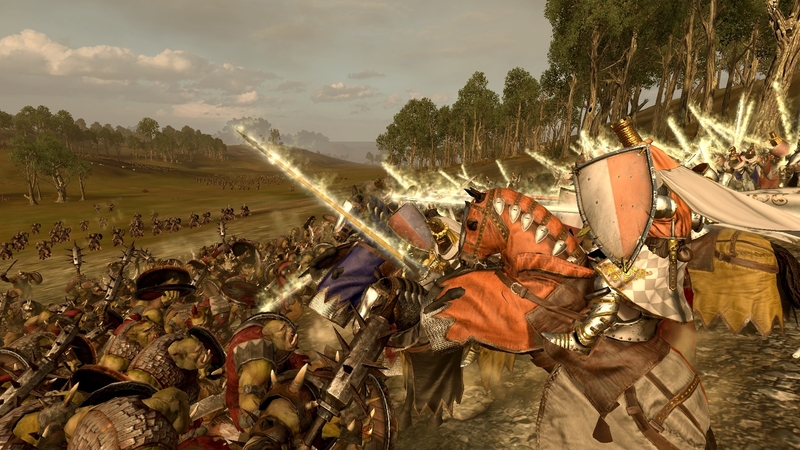 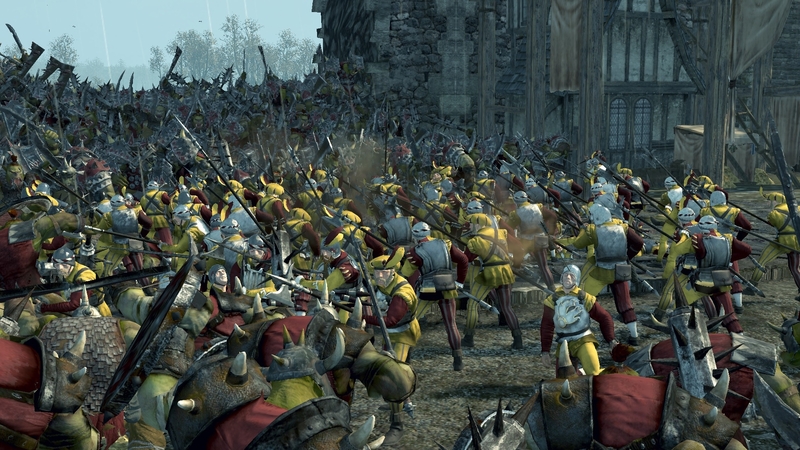 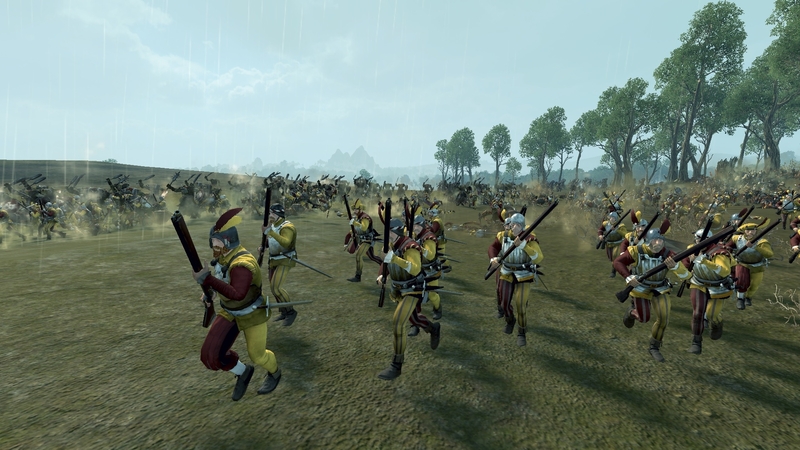 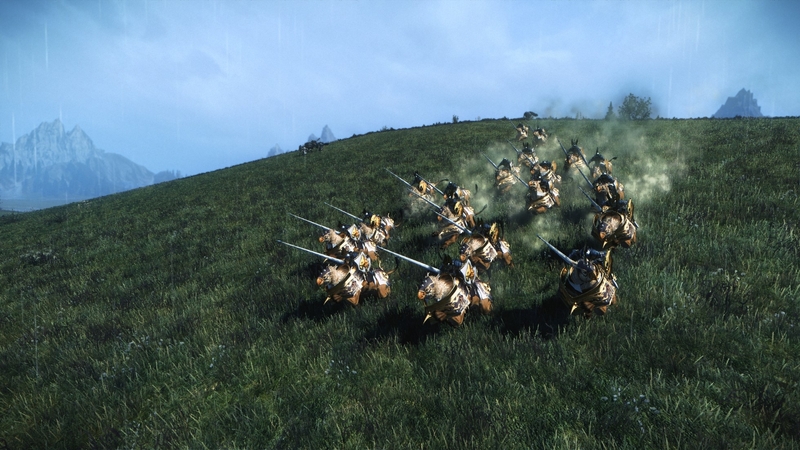 Bretonnia under Louen Leouncoeur attacks Estalia and lays siege to Bordelaux. 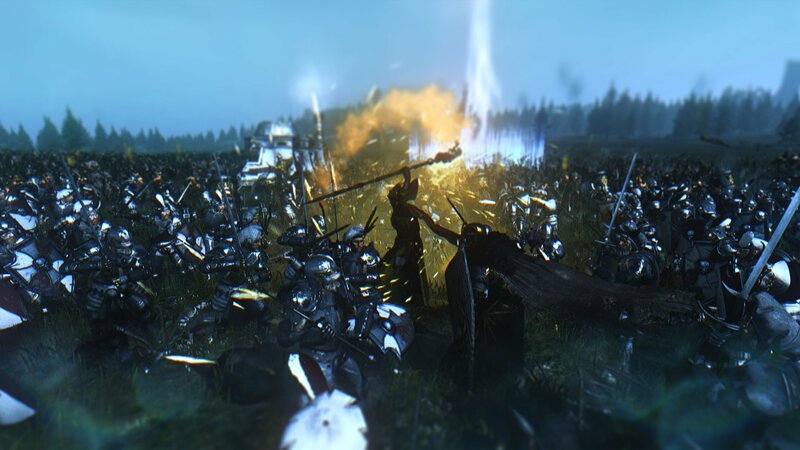 Urk wanted that one! 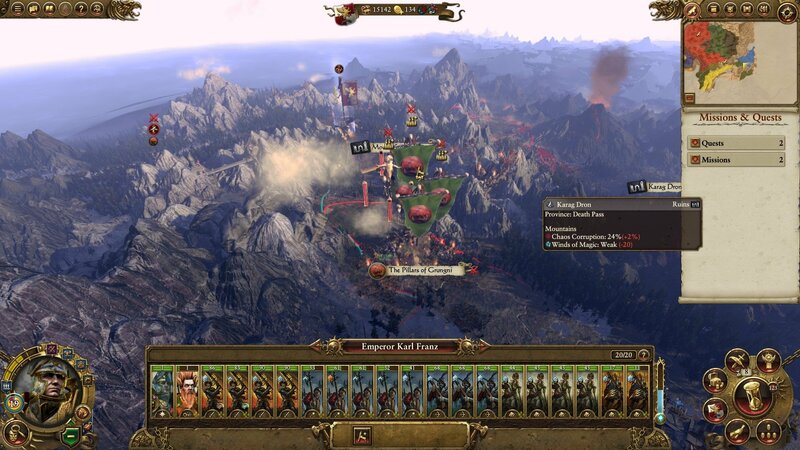 Immediately declaring war, he marches on a smaller force near the siege that foolishly strayed too far away from the main force. 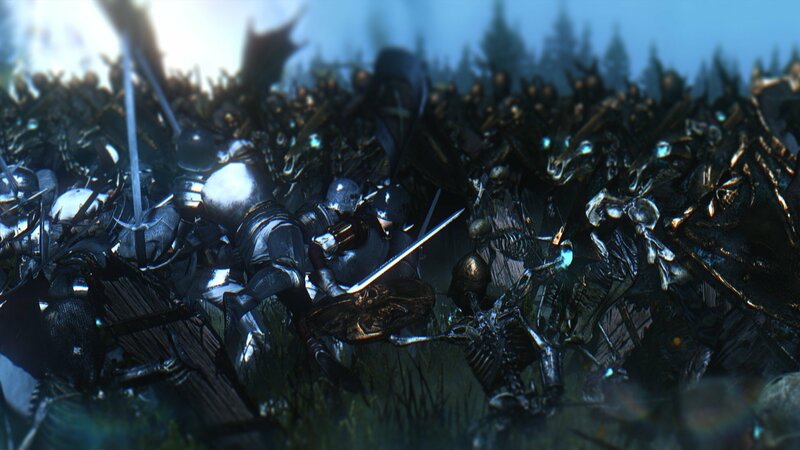 Dey'z all shiny, but Urk'z seez dem as nuthing! 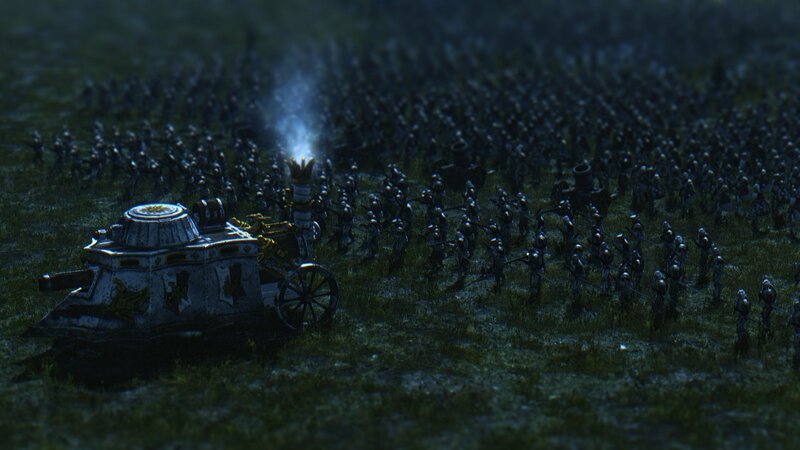 Their cavalry is elite, but few in numbers and so is the rest of their forces...though they take a surprising toll on Urk's boyz, it's no question of the outcome. 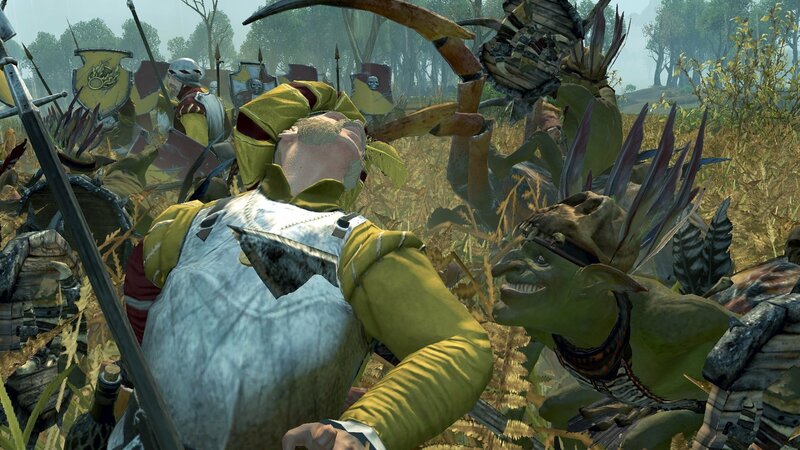 Noble lord of Bretonnia...about to be eaten. 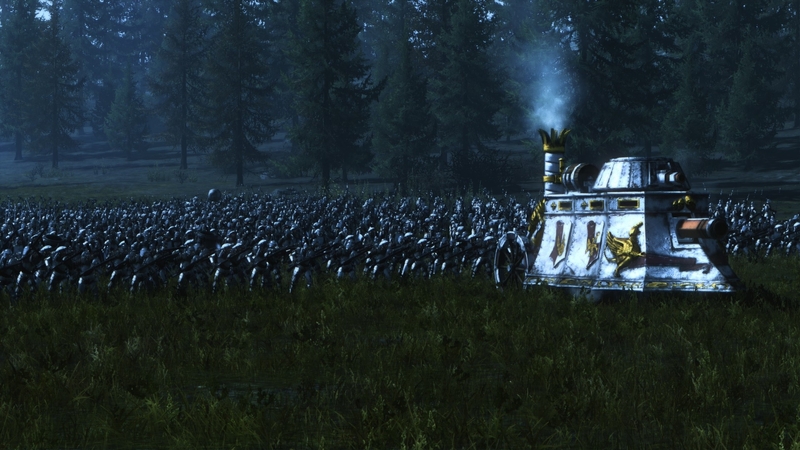 Do you just use the one that's for Attila but put it in the WARHAMMER files instead? 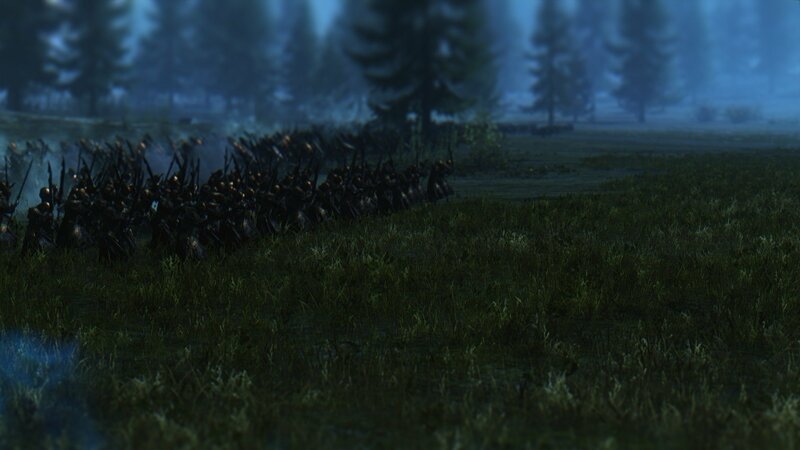 A brave man marches into danger and ignores his fear. 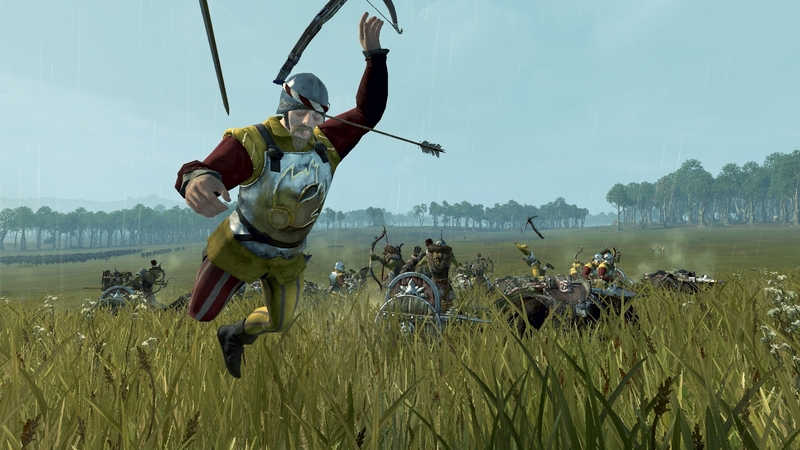 A courageous man marches into danger while embracing his fear. 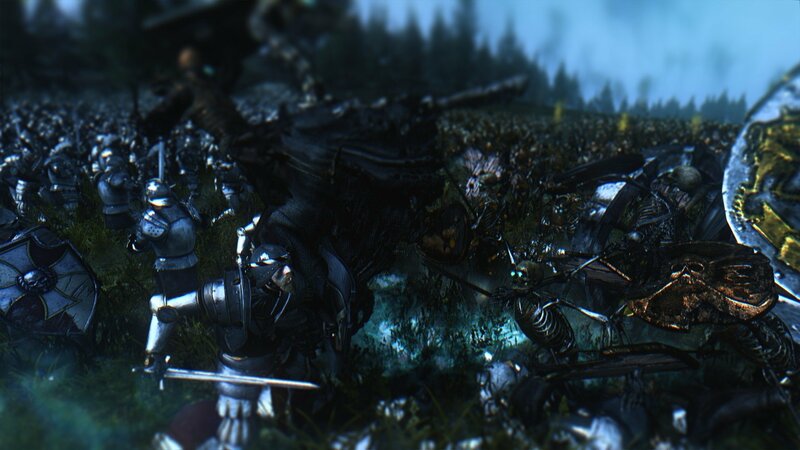 Use the standalone version, it works pretty much with any game just like sweetfx. 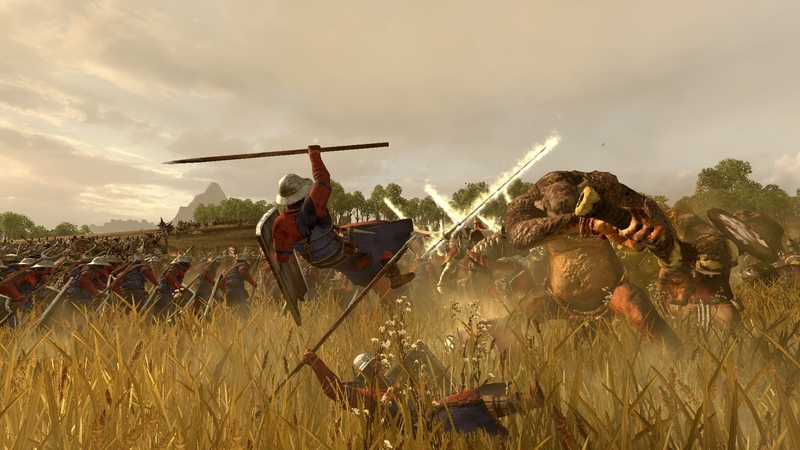 Do you have any idea if GemFX also works with Shogun 2? 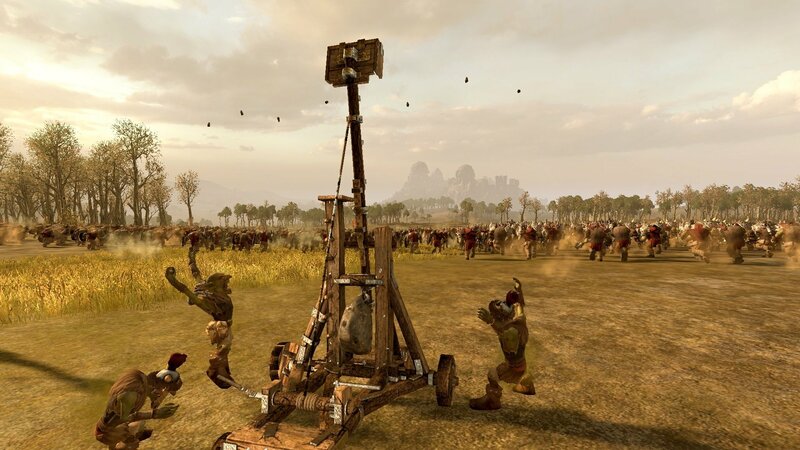 I tried it but couldn't get it to work. 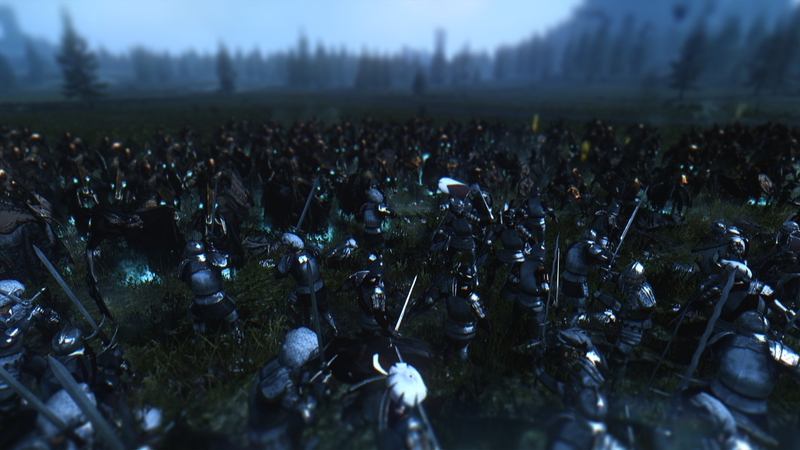 It did work for me, but I don't remember if I had to tweak anything to get it working properly, otherwise you use this mod instead.